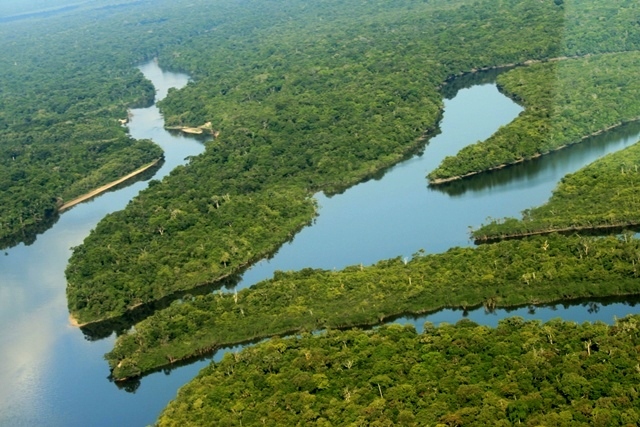 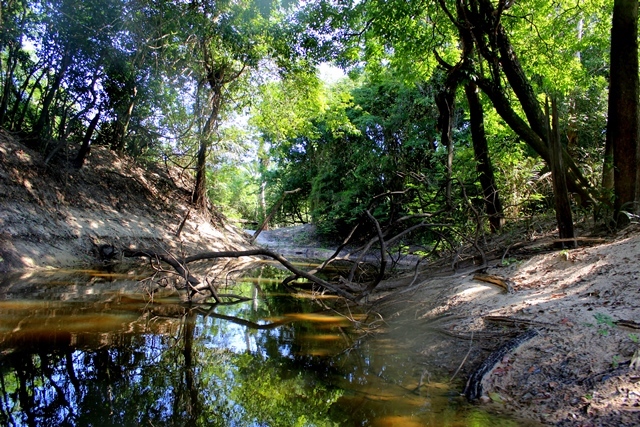 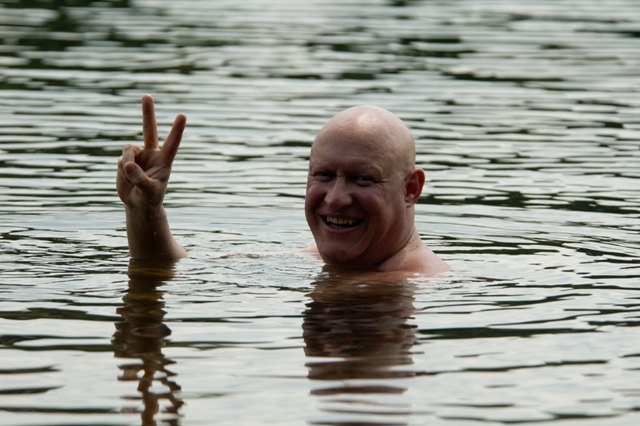 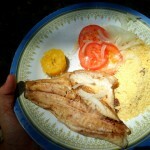 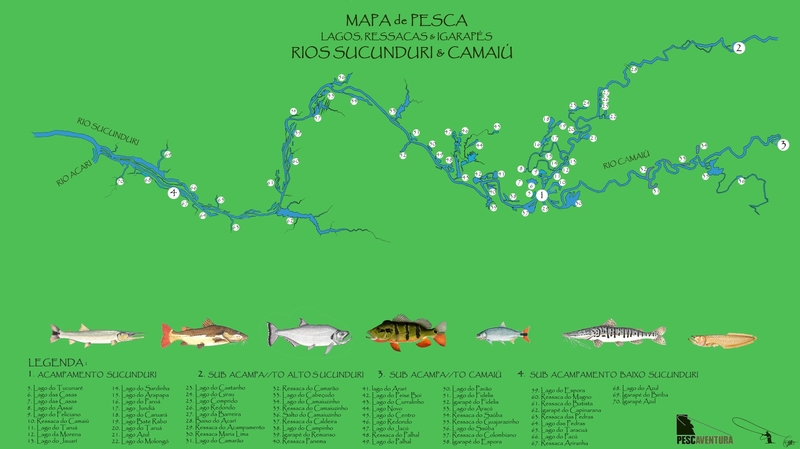 Rubinho de Almeida Prado’s project of touristically exploring the Amazon rivers, began with his great enchantment by the Sucunduri and Acari rivers located in the Madeira Rivers basin, in which he had done great fishing expeditions and found a non-exploited and highly preserved nature. 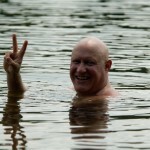 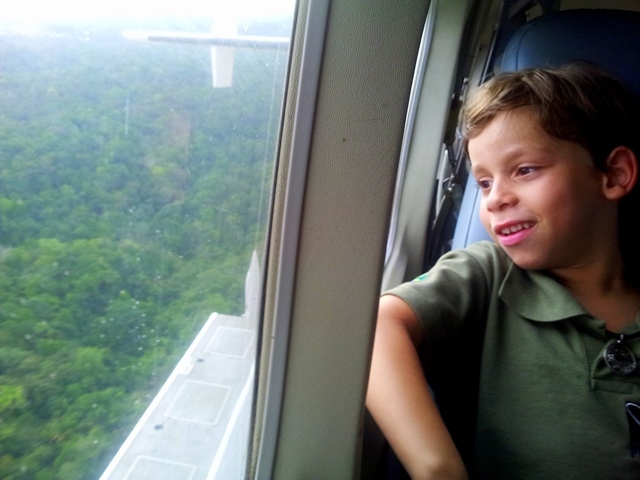 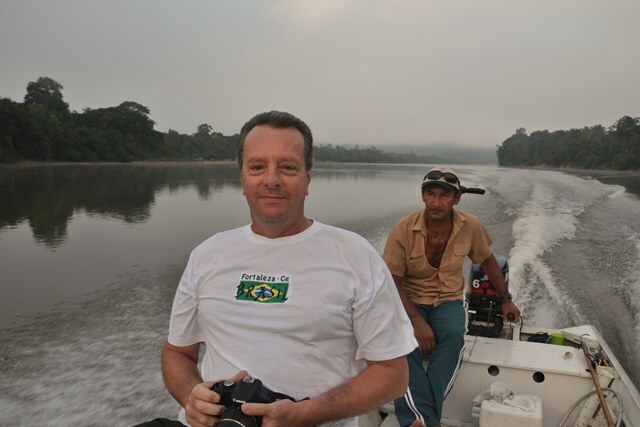 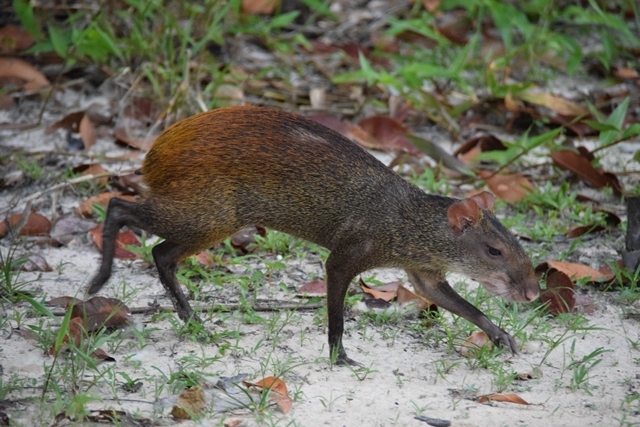 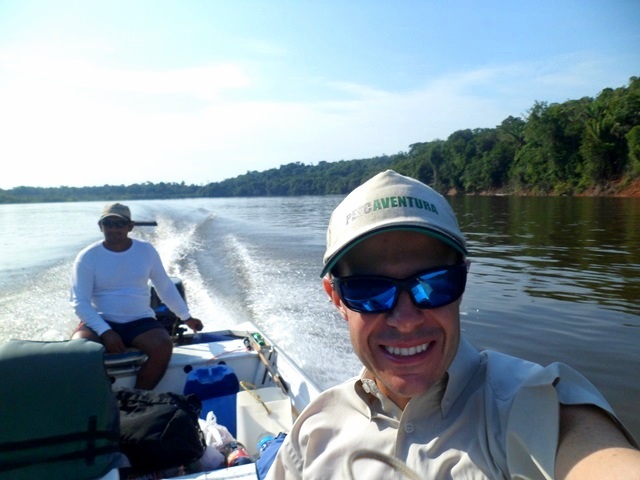 His adventure spirit allied with the experience of his cousin Mauro de Almeida Prado, who had been living in Manaus for more than 30 years, resulted on a successful partnership. 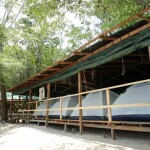 Since the beginning, the encampments were strategically thought to act on the counter-flow of conventional operations by Boat Hotels. 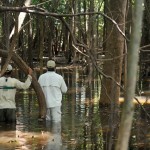 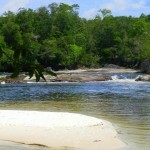 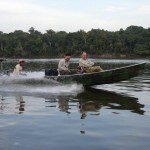 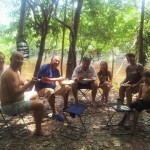 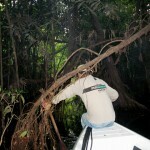 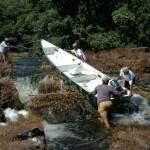 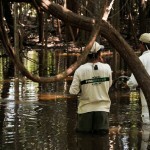 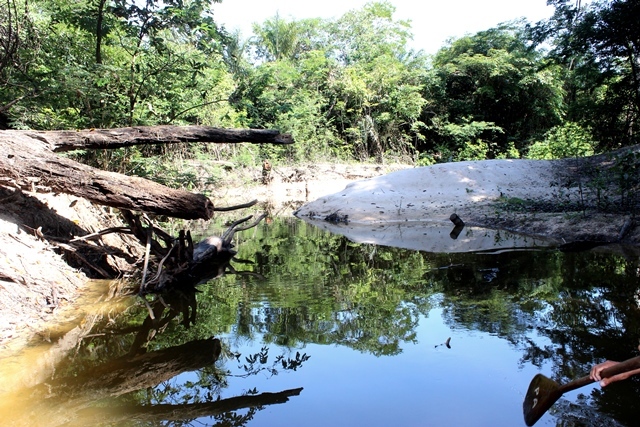 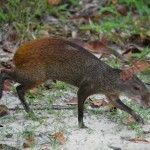 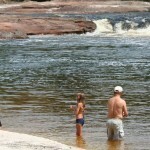 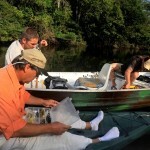 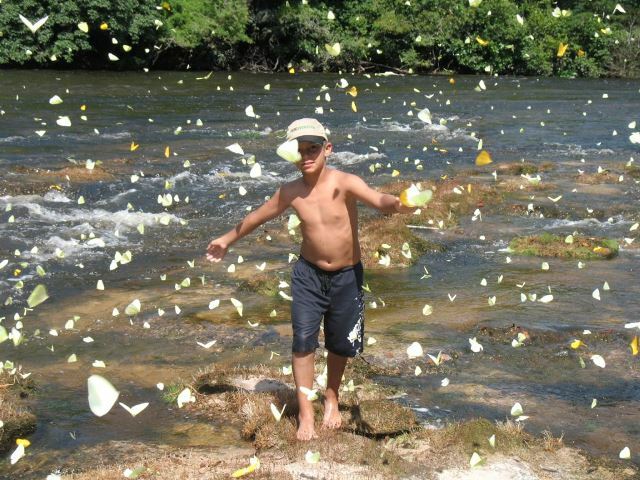 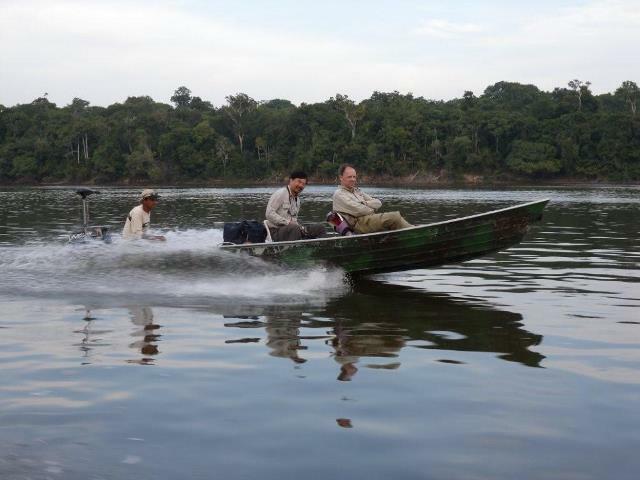 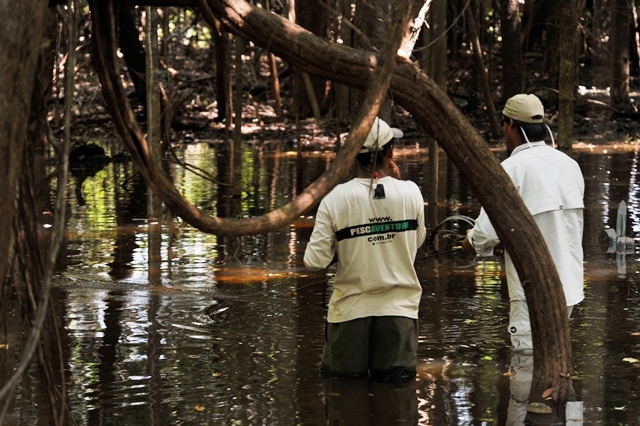 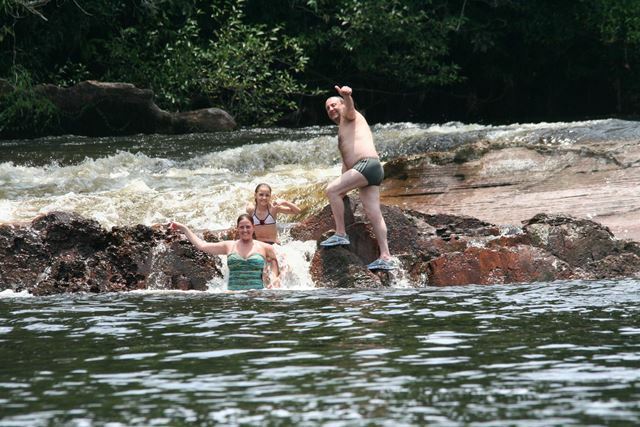 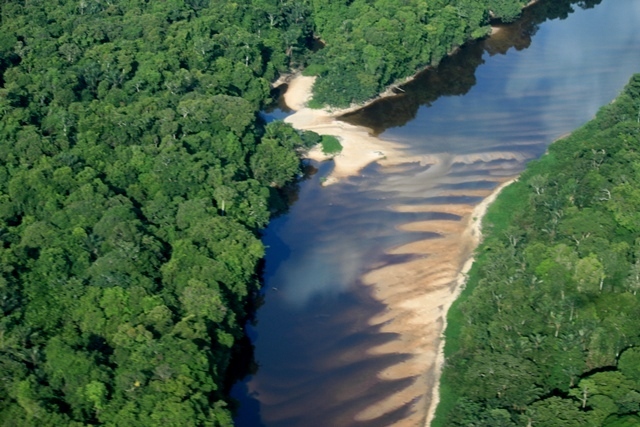 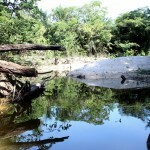 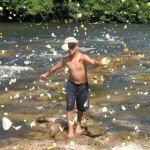 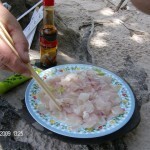 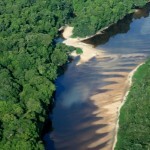 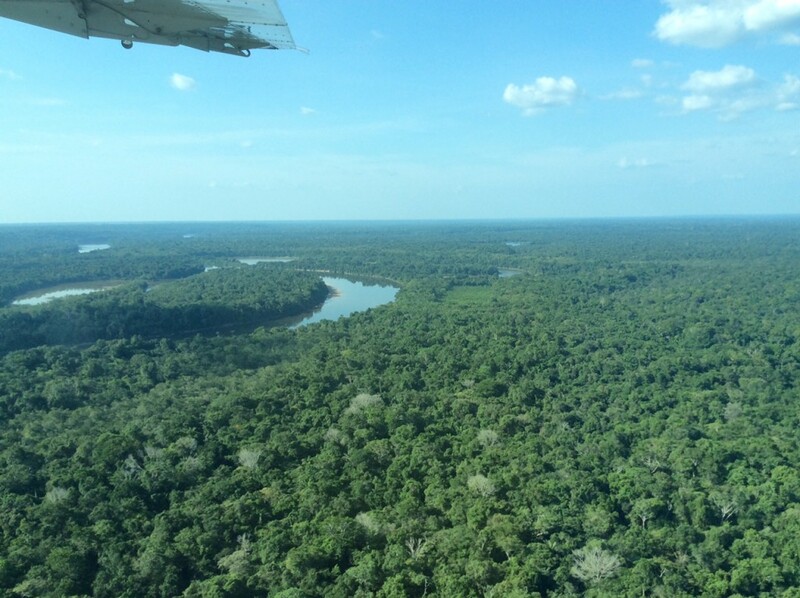 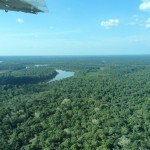 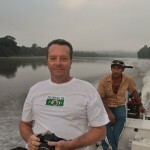 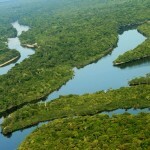 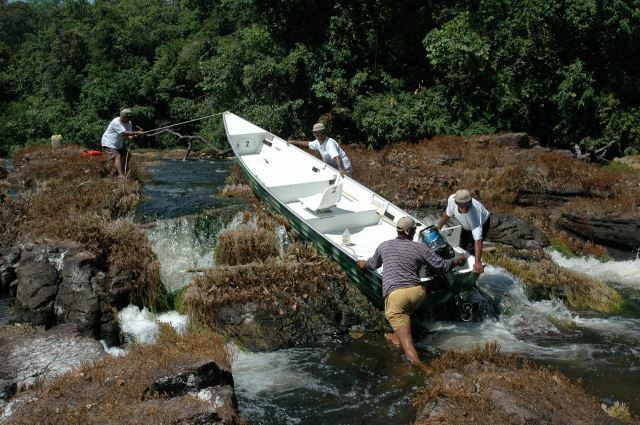 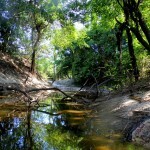 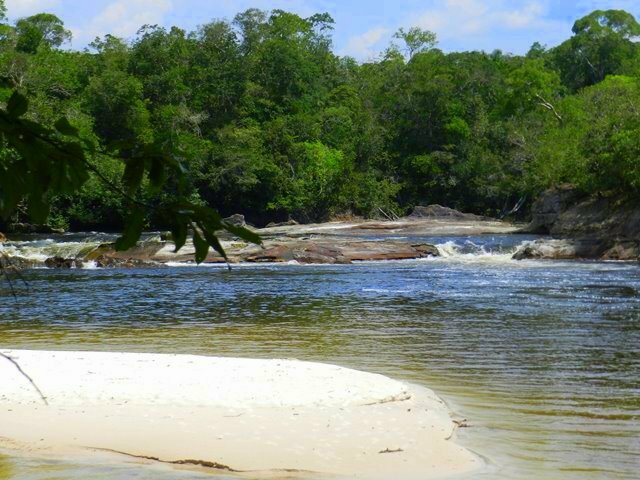 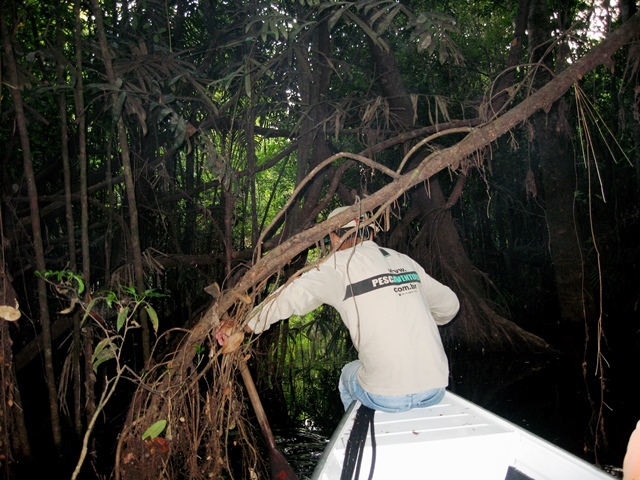 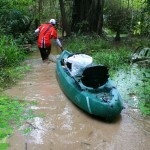 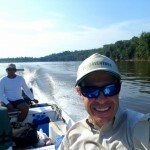 And it was thus that Pescaventura expeditions took place on Sucunduri and Acari rivers. 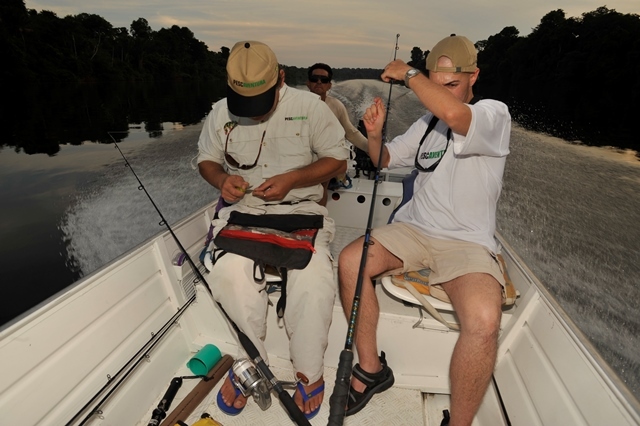 The expedition is an unique experience with fishing quality, a distinct and safe adventure, providing an unforgettable experience for the sports fishermen and their family. 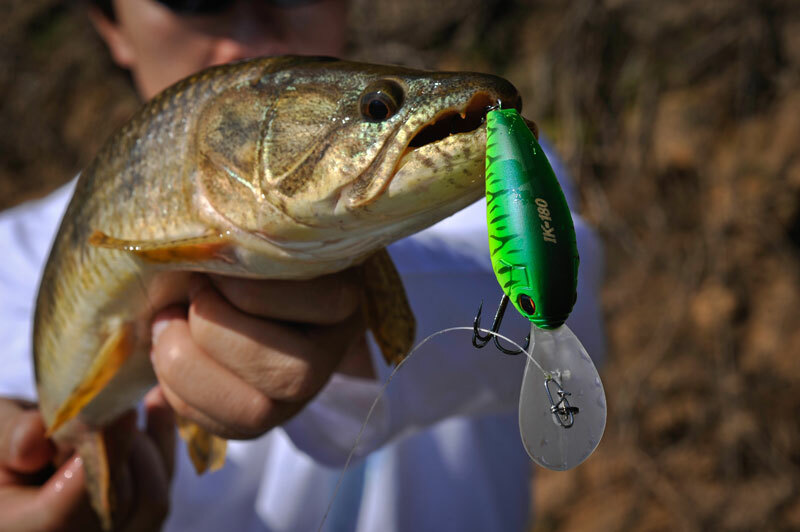 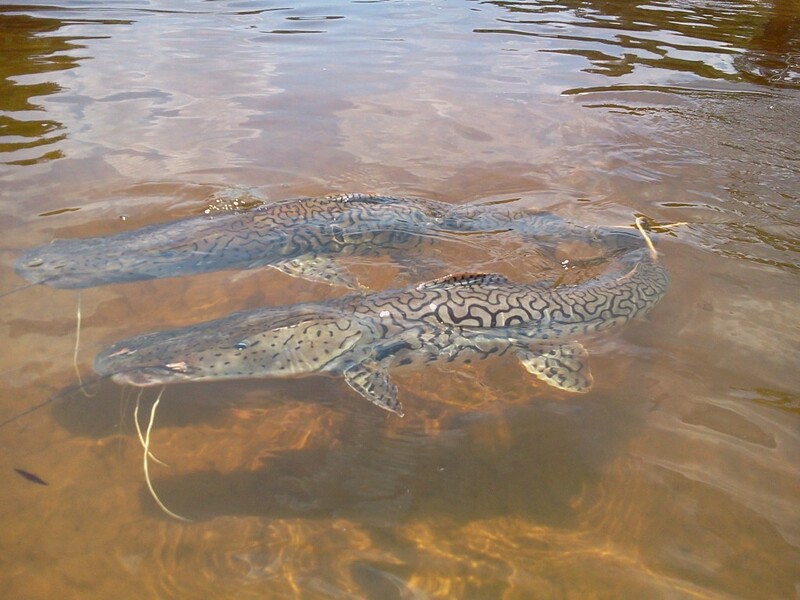 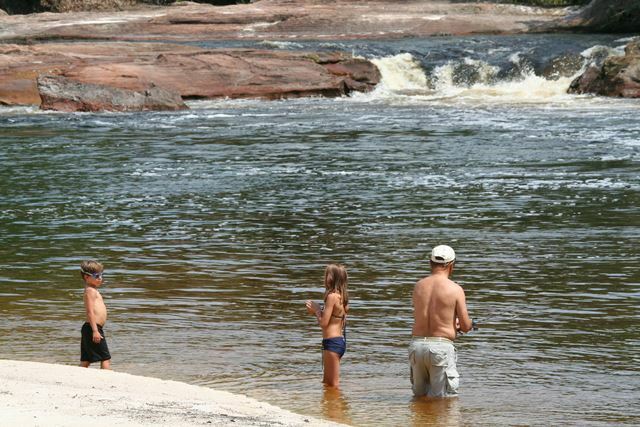 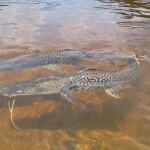 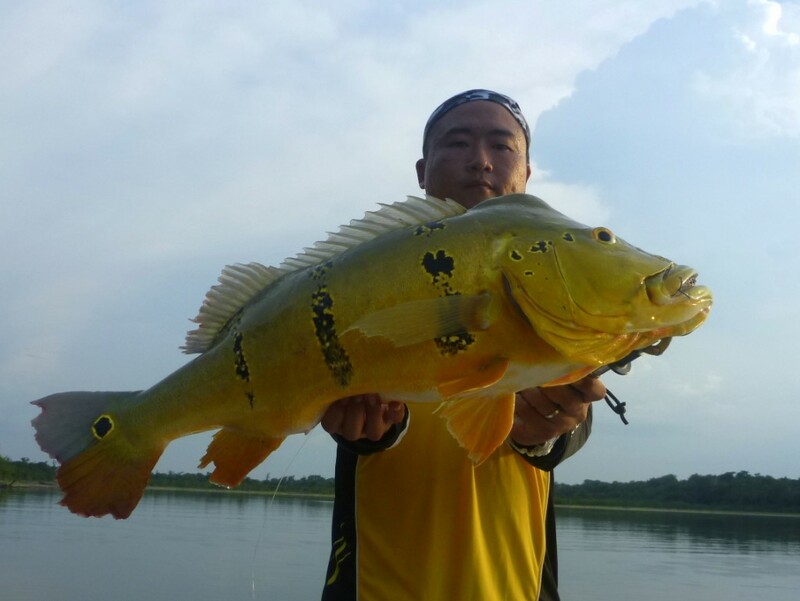 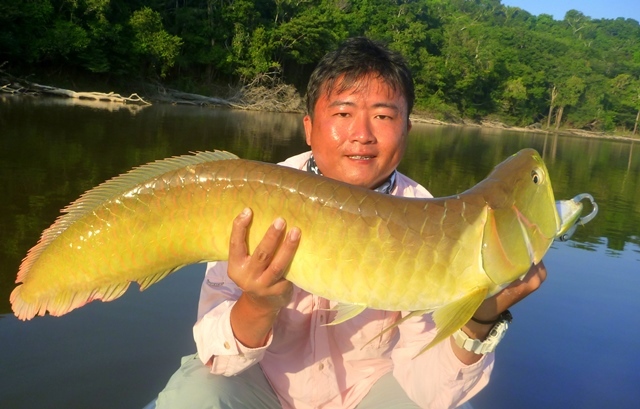 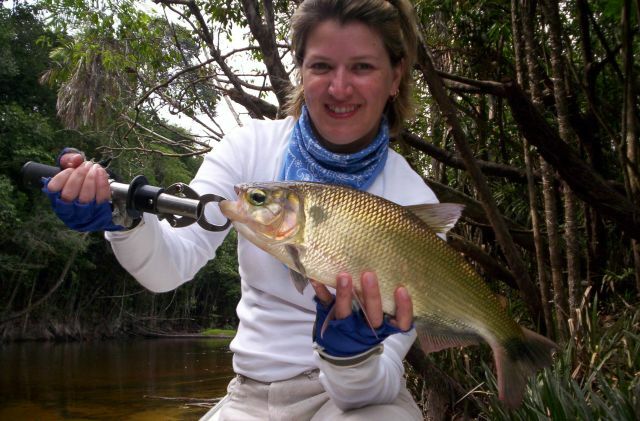 The fishing season in Acari River Expedition begins in August and ends by the end of September, while the Sucunduri River Expedition happens during October to November, in the low water season. 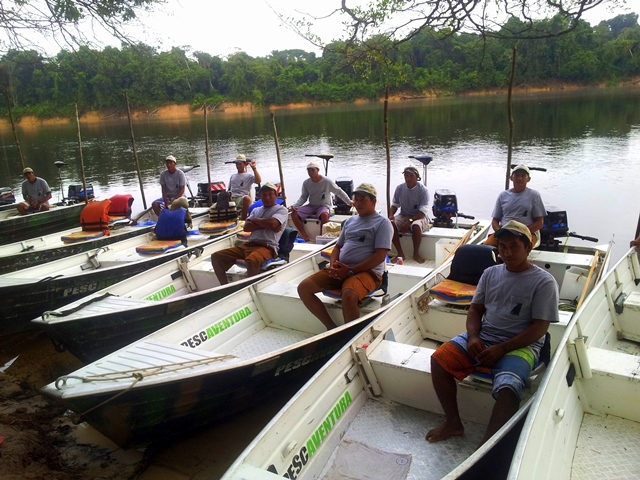 Those schedules were defined because of the difficulty on the arrival of other fishing boats and for this reason, we use hydroplanes to reach our encampments. 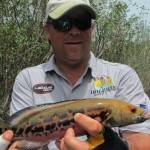 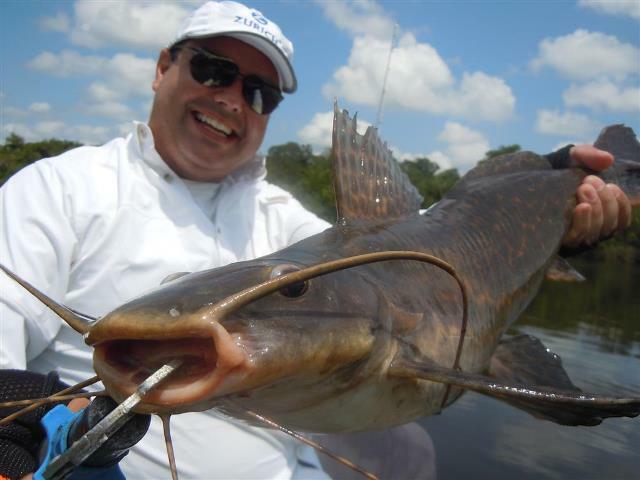 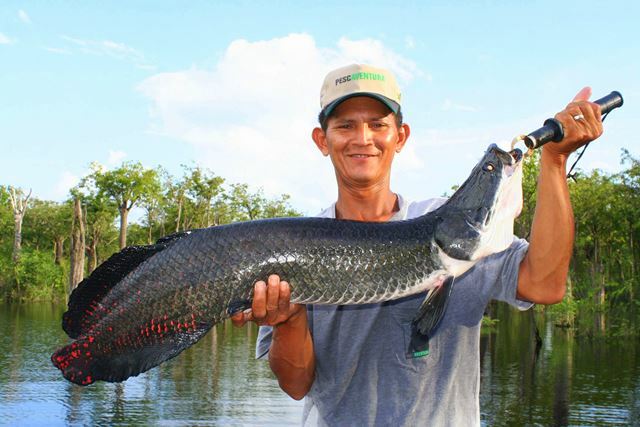 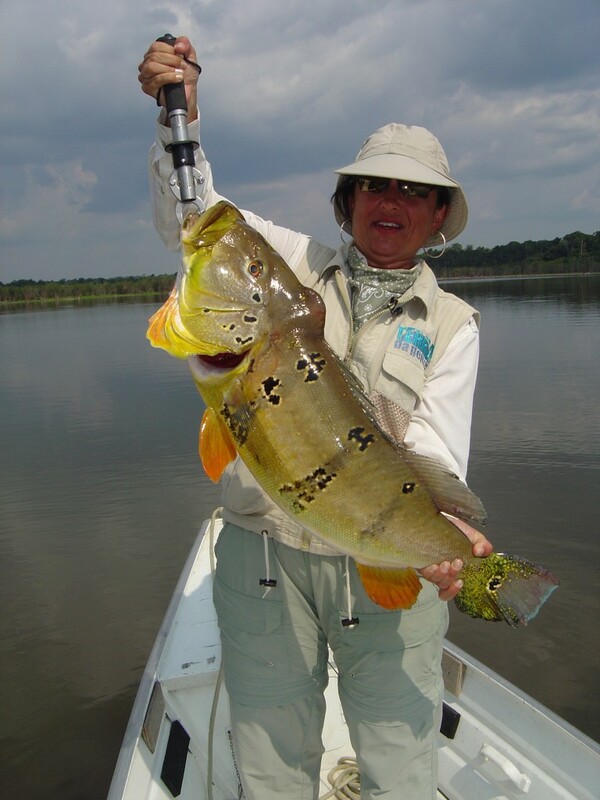 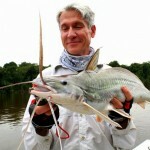 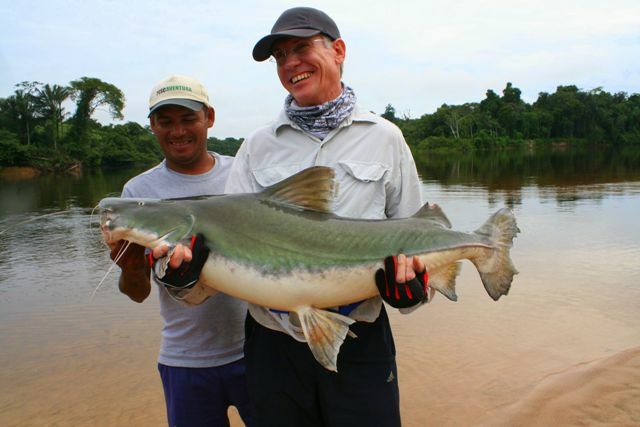 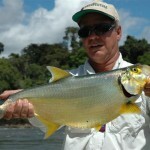 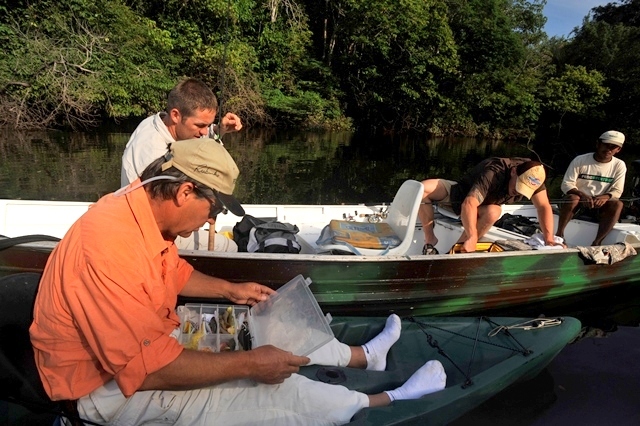 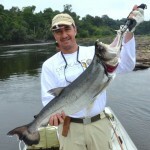 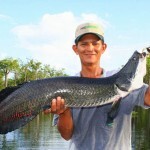 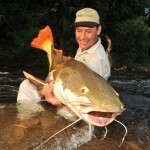 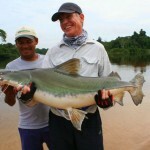 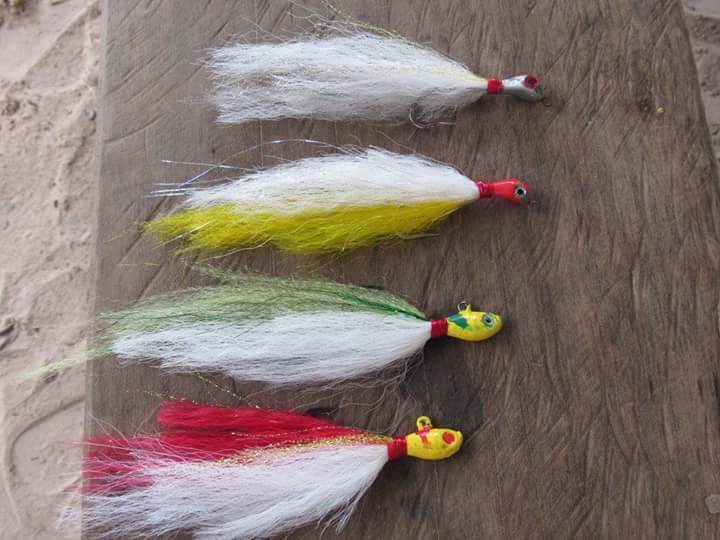 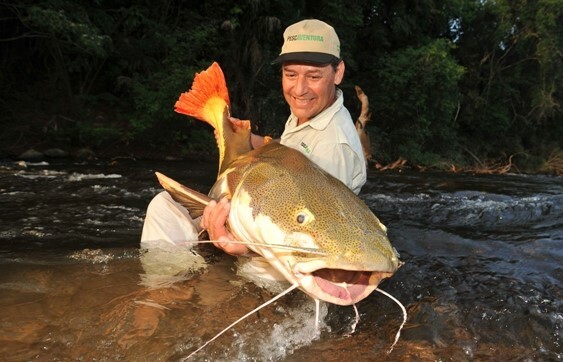 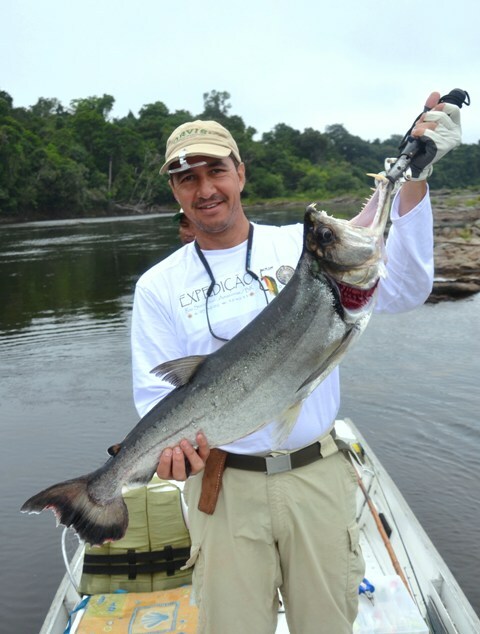 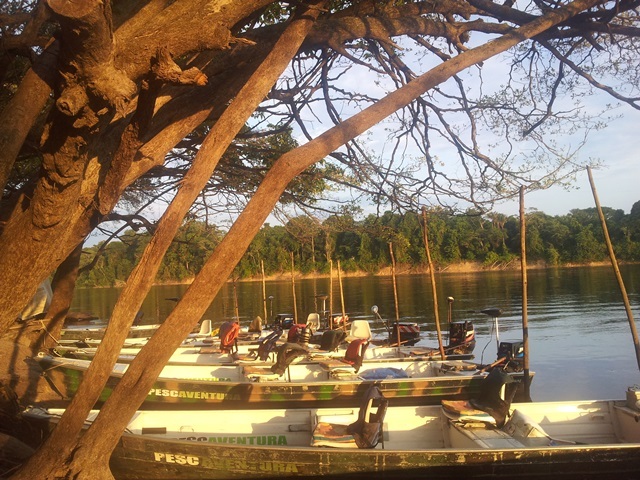 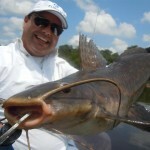 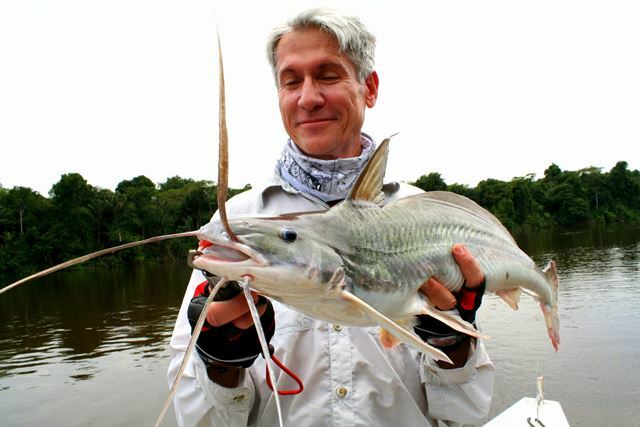 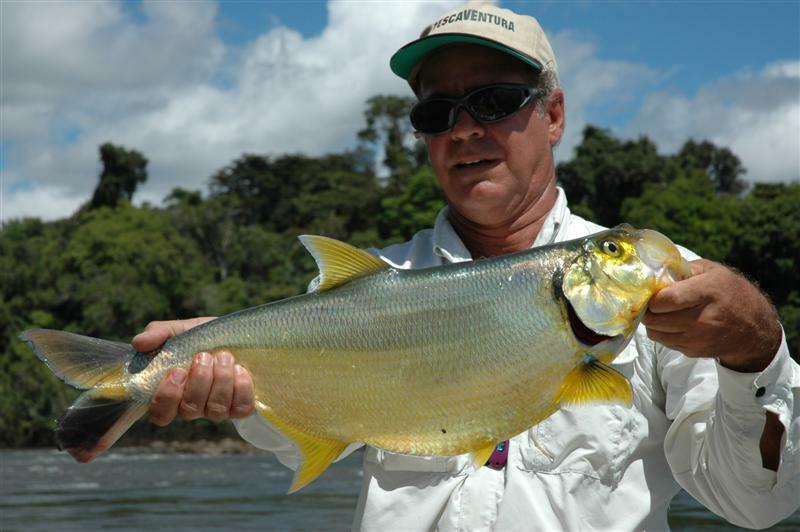 Currently, the Pescaventura Expedition is, no doubt, the most innovative and interesting sport fishing operation in the Amazon. 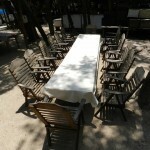 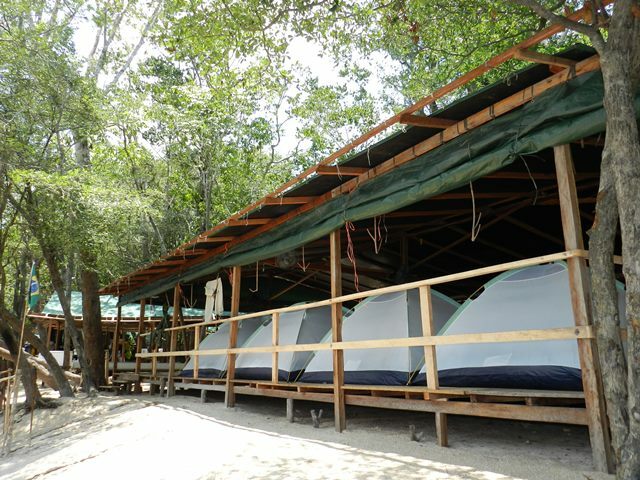 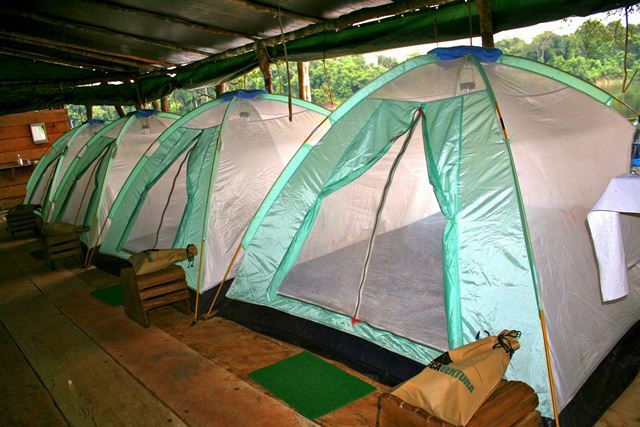 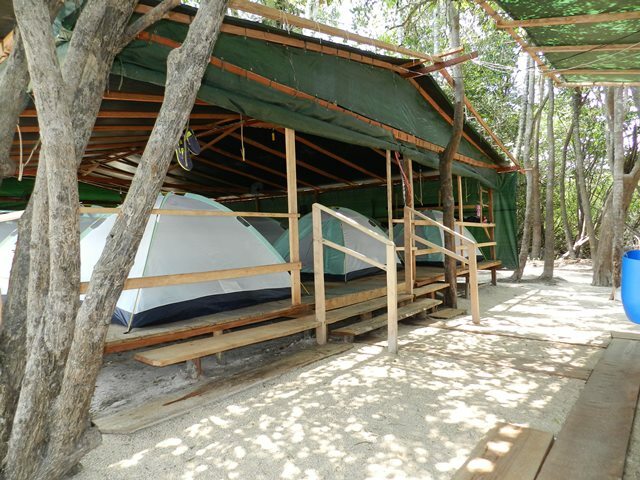 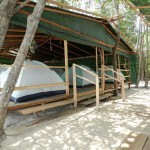 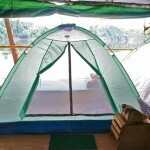 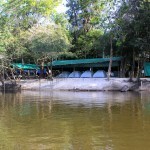 Te encampment structure is composed of comfortable and individual tents set with foam mattress, bedding and towels. 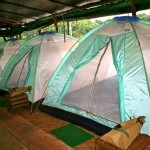 The tents are sheltered by a large awning coverage with good air circulation, aided by six large fans. 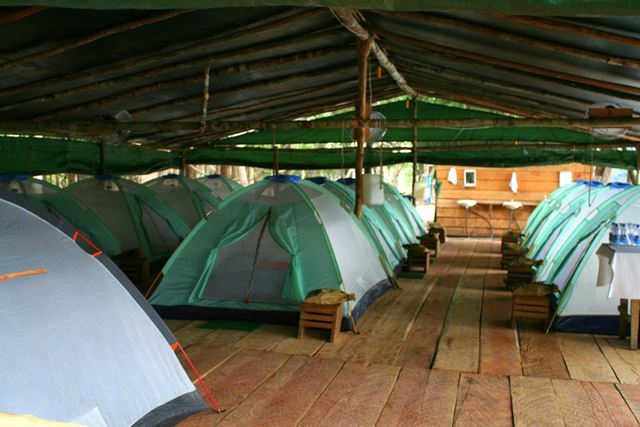 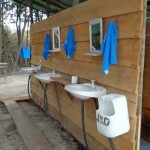 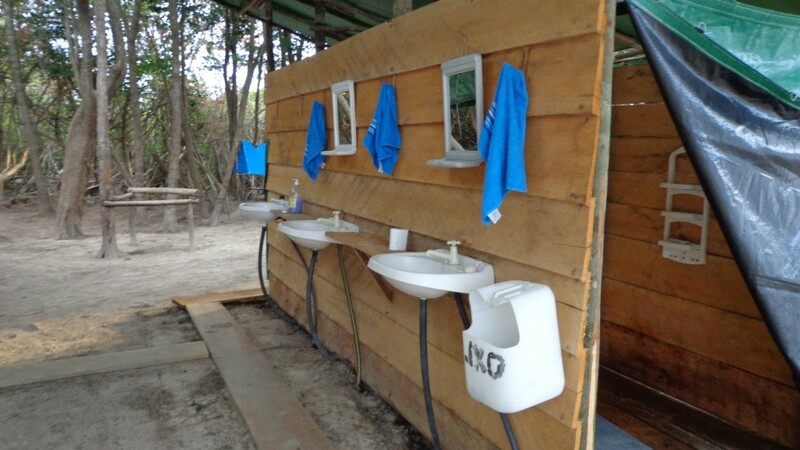 The encampment offers cleaning service, bathrooms with hot water, living area, kitchen, satellite phone and electricity, uninterruptedly. 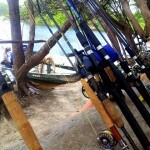 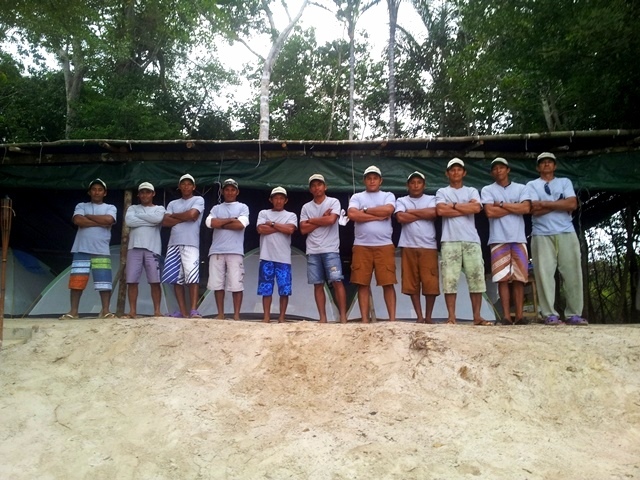 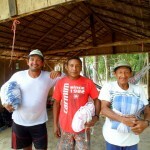 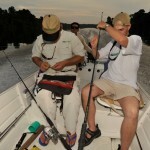 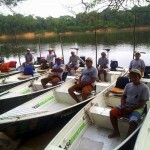 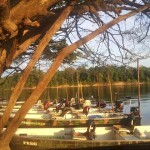 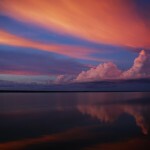 The Pescavetura Expedition is able to host 16 fishermen with safety and comfort. 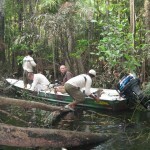 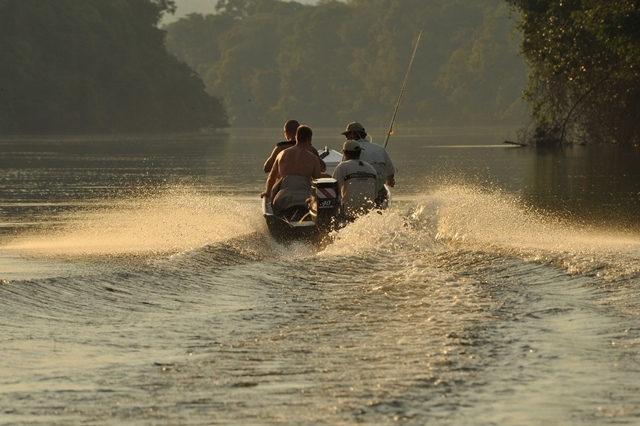 The fishing boats are 6 meters long with 2 spinning seats, 25HP engine, and an electric engine capable of crossing small streams, rocks and narrow lakes where we find the true hideaways of the quarrelsome peacock bass. 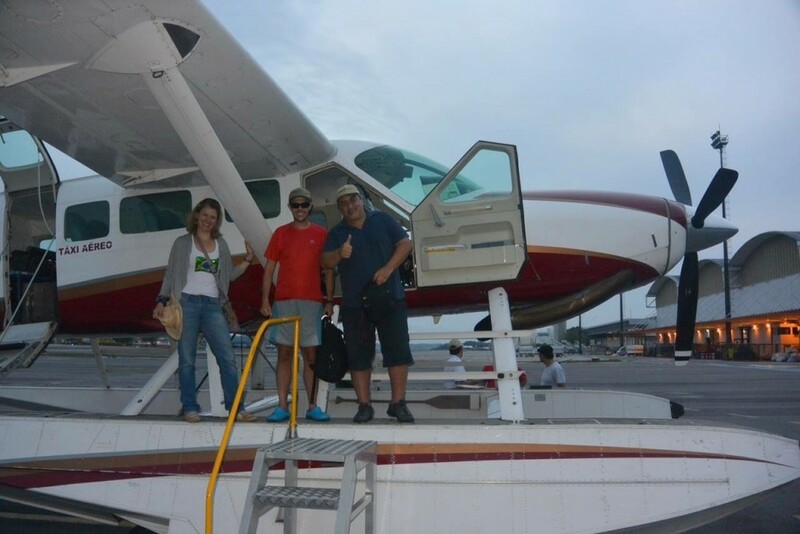 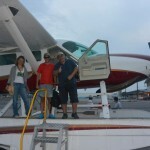 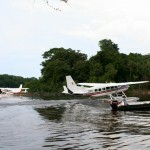 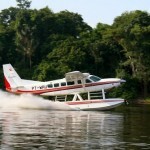 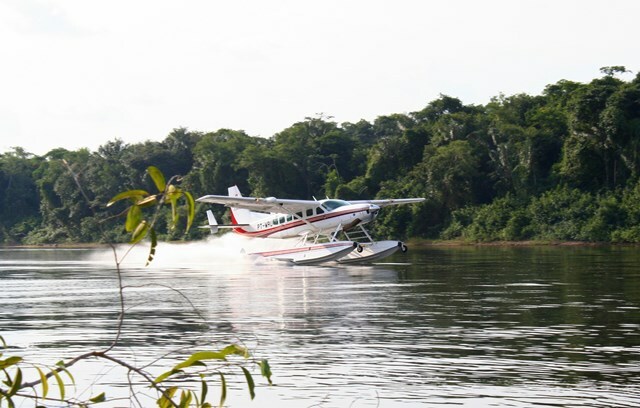 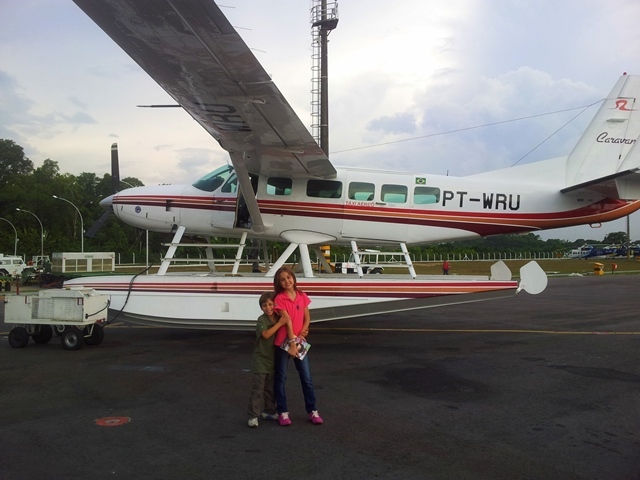 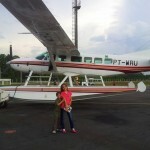 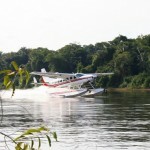 Shuttles international airport x regional airport (round trip), transfers (hydroplane) Manaus x encampment (round trip) , baggage limit 15kg per passenger. 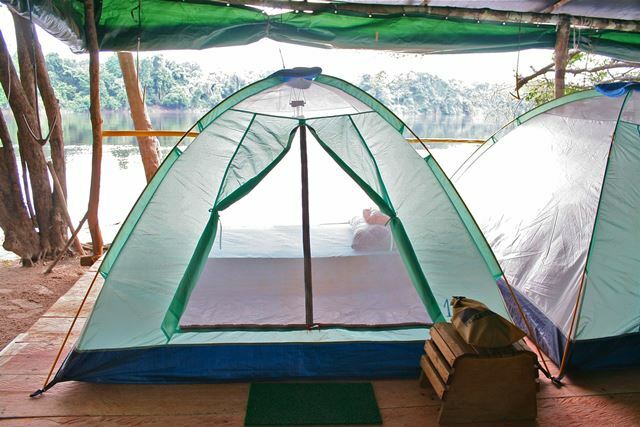 Accommodation in individual tents including breakfast, lunch, snacks, dinner and beverages (water, soft drink and beer), a boat with 25hp engine, electric engine, fishing guide (1for two), laundry and travel insurance. 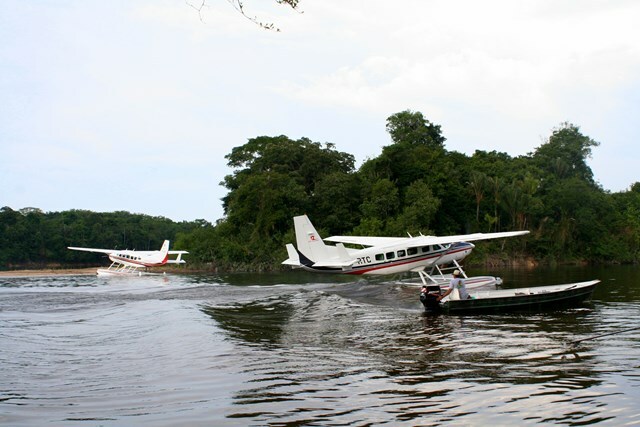 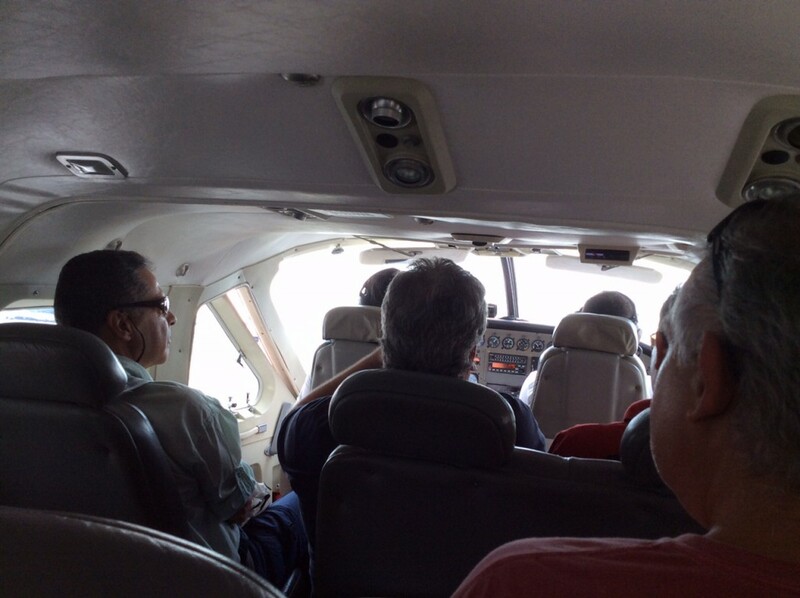 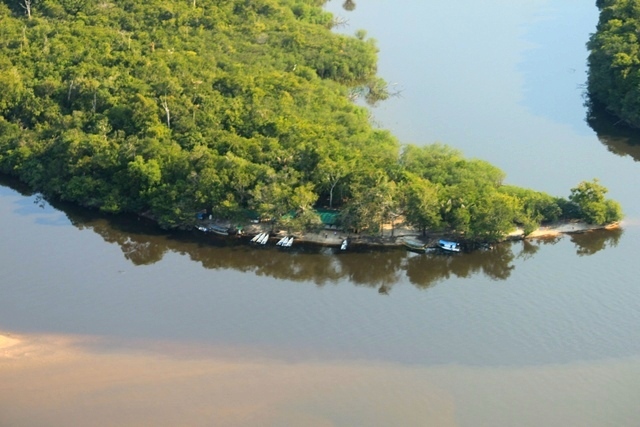 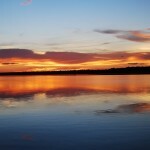 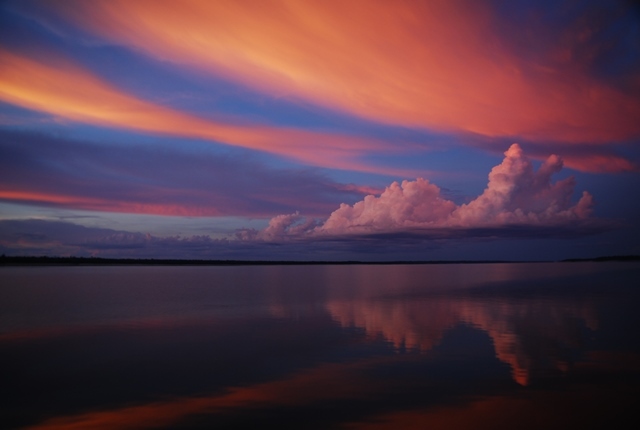 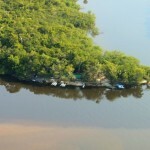 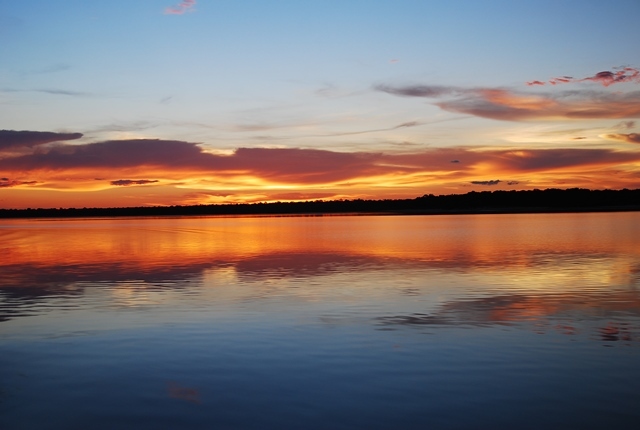 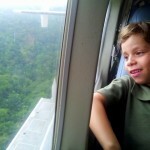 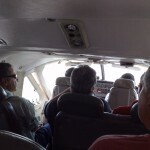 Flight ticket Origin x Manaus (round trip), accommodations, meals and other transfers in Manaus, phone calls, tips, fishing license, fishing equipment and other extras not explicitly mentioned. 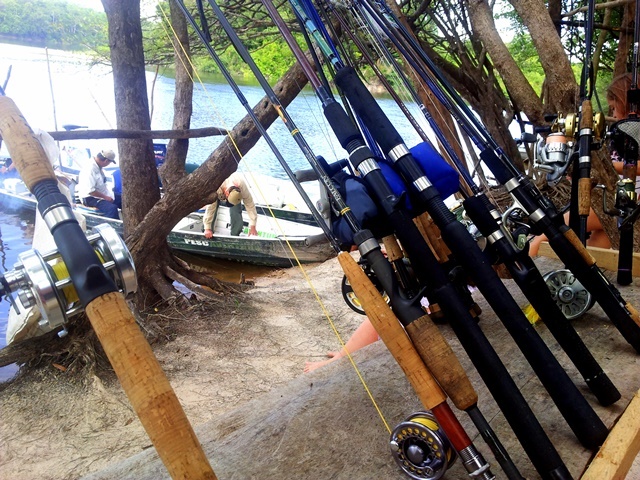 A typical fishing day usually begins at 6 a.m. and runs until 6 p.m., when every fishermen should be back at the camp for safety issues. 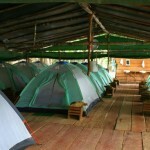 Should there be any intent of staying longer, it must be informed to camp managers beforehand, avoiding worries and unnecessary searches. 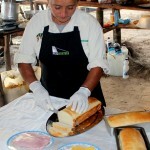 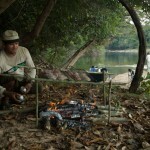 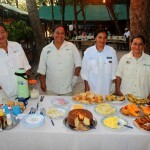 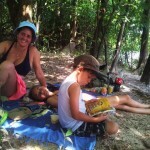 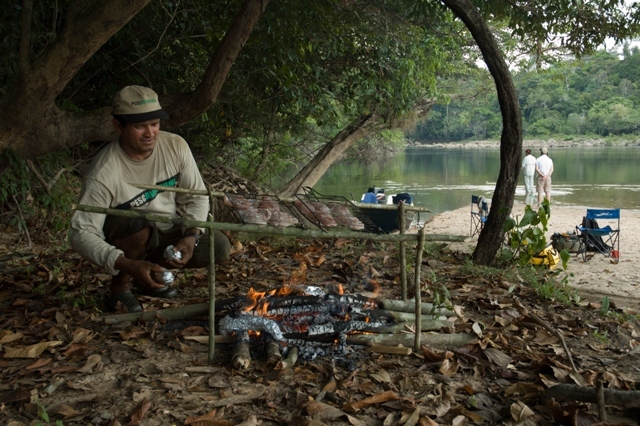 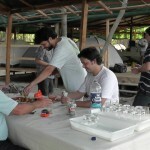 Daily, boats are refueled with beverages and a kit to cook a hearty and pleasant meal by the river bank. 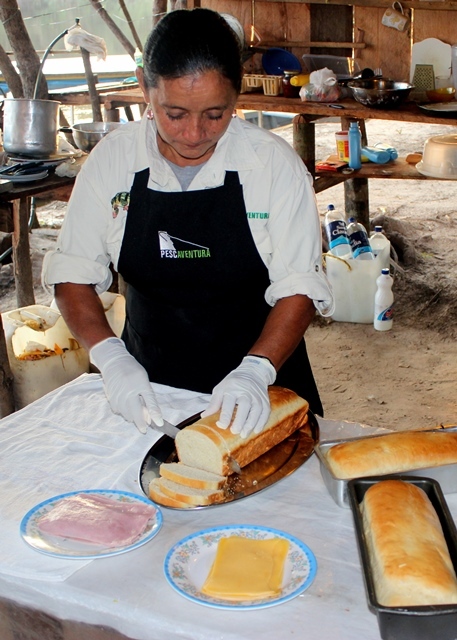 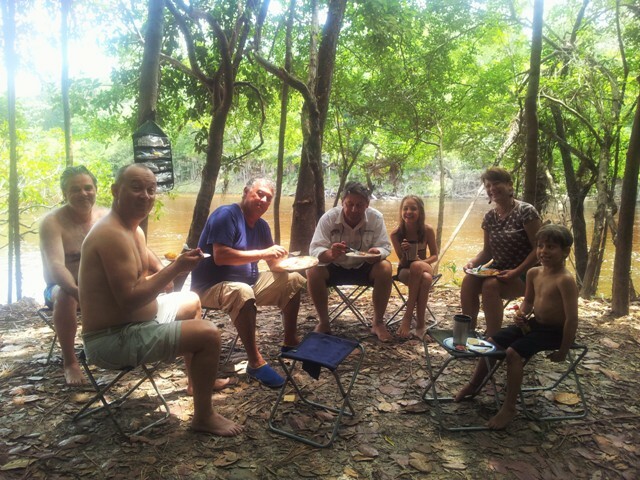 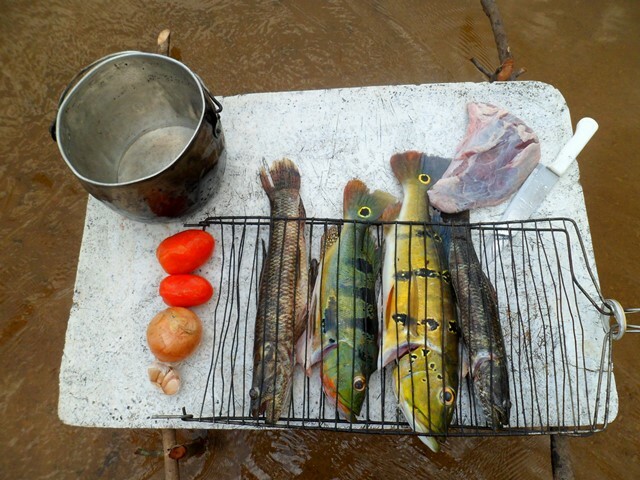 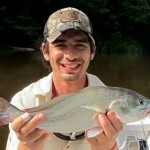 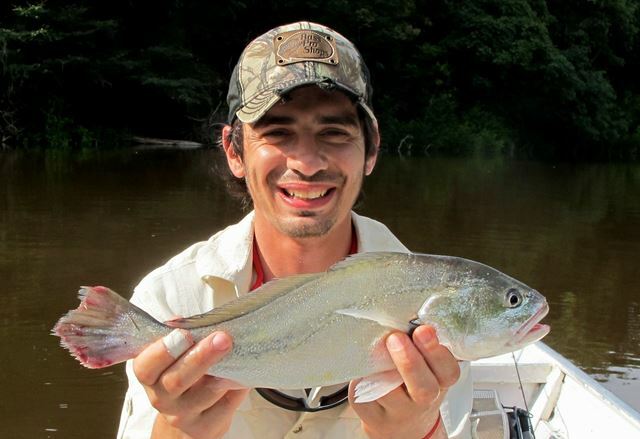 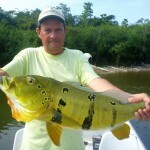 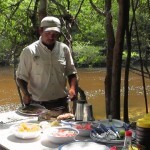 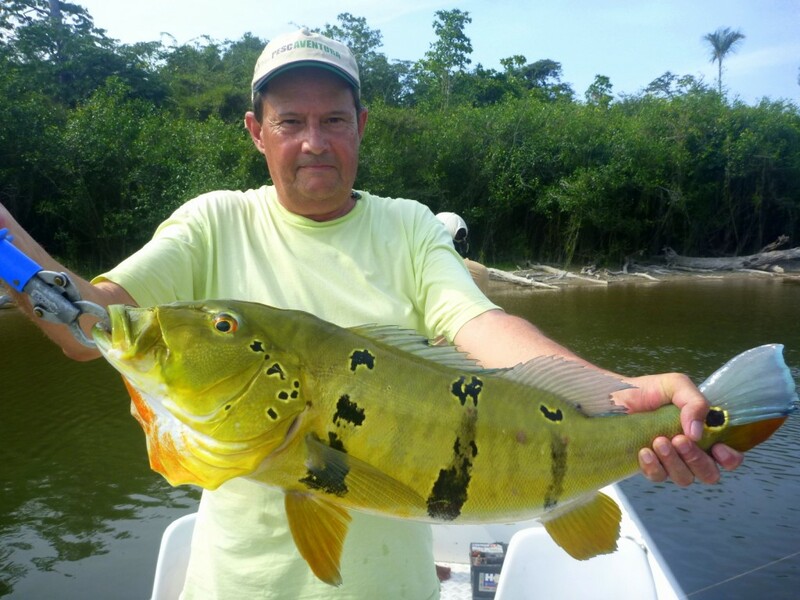 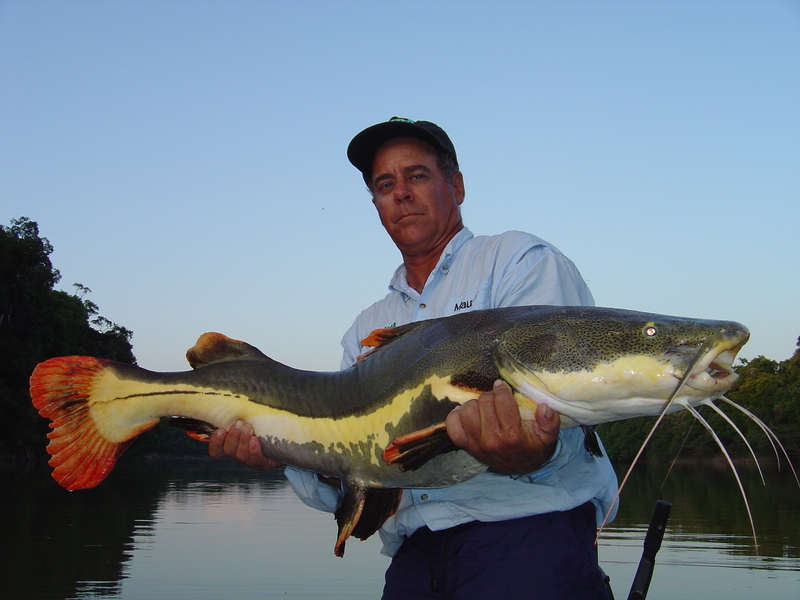 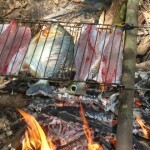 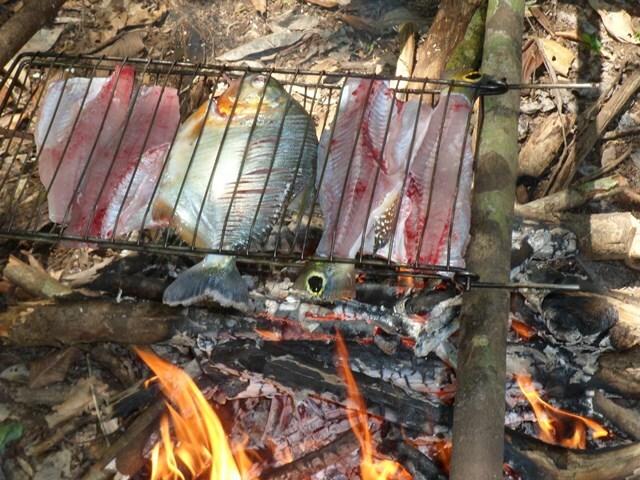 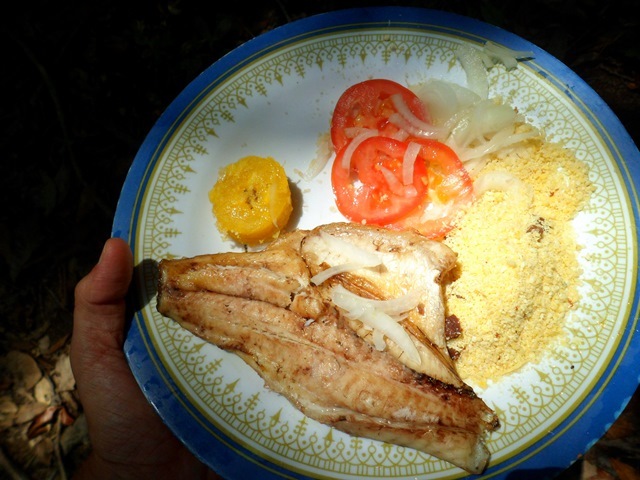 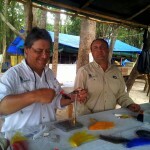 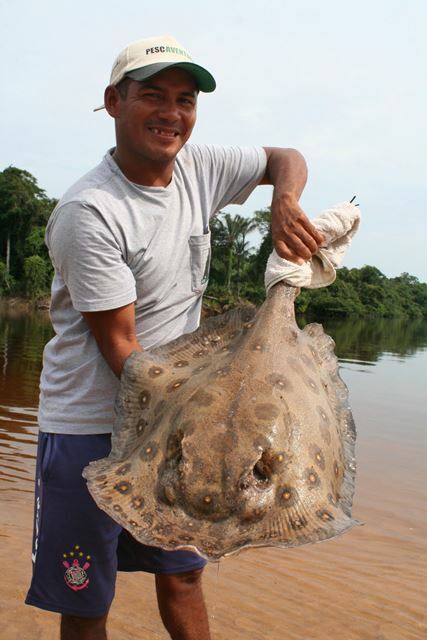 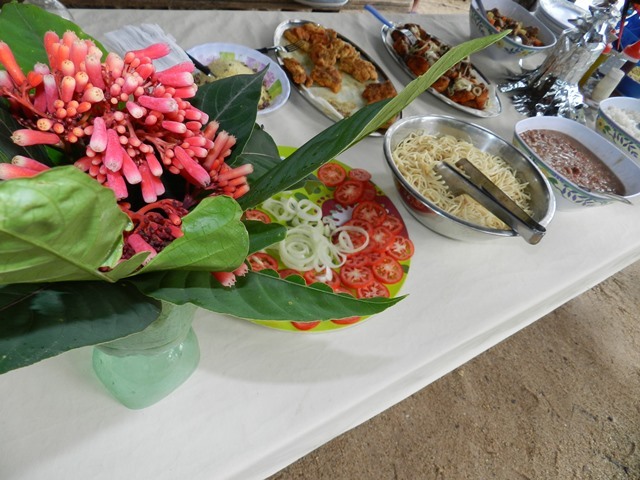 Experienced guides are trained to help in all aspects of fishing and skilled in preparing a nice roasted fish and great side dishes worthy of a true and unforgettable banquet in the middle of the Amazon jungle! 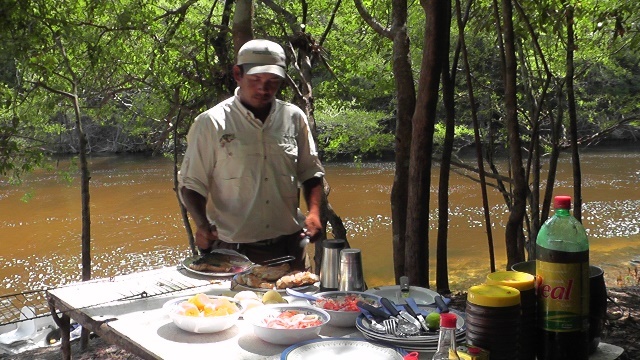 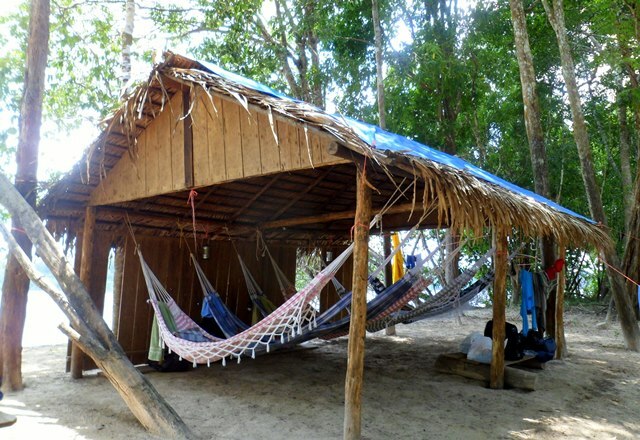 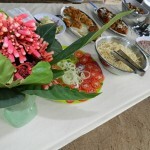 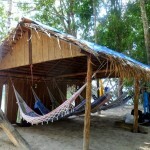 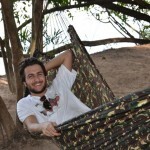 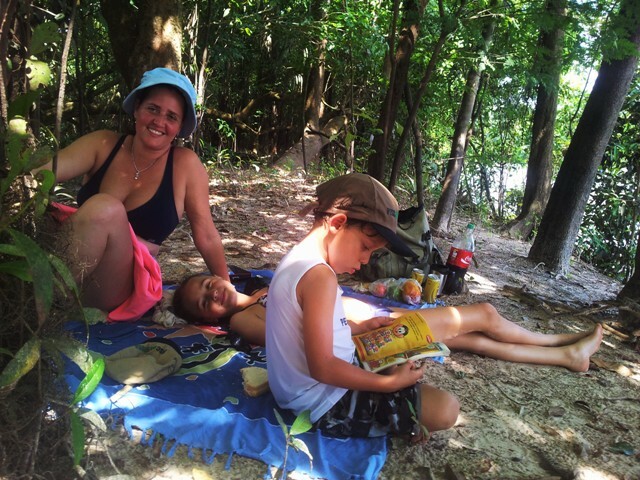 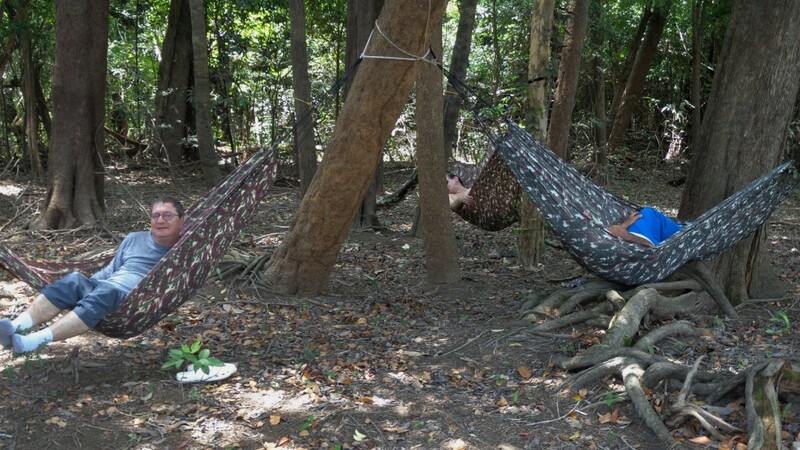 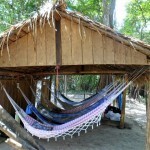 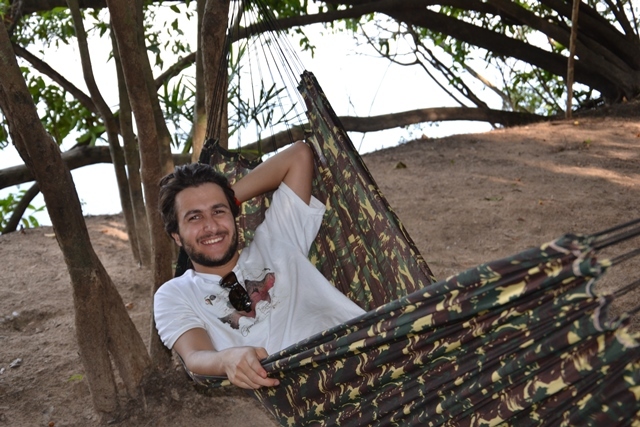 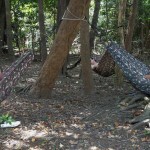 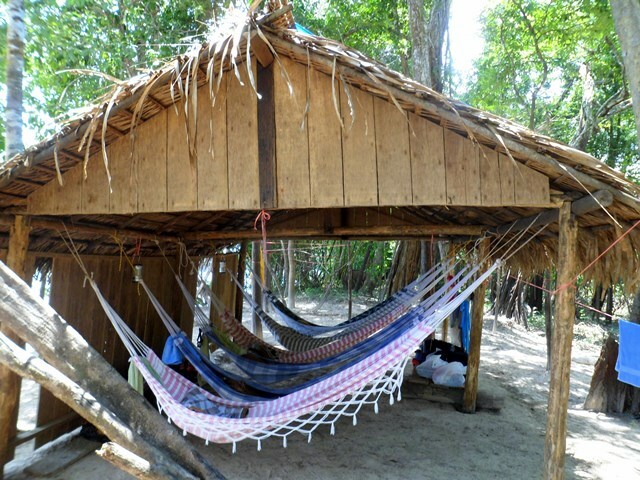 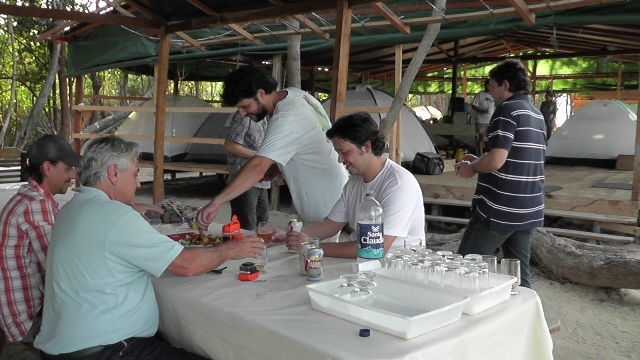 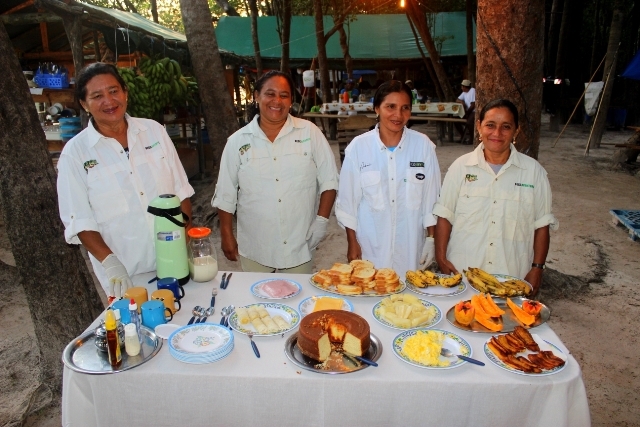 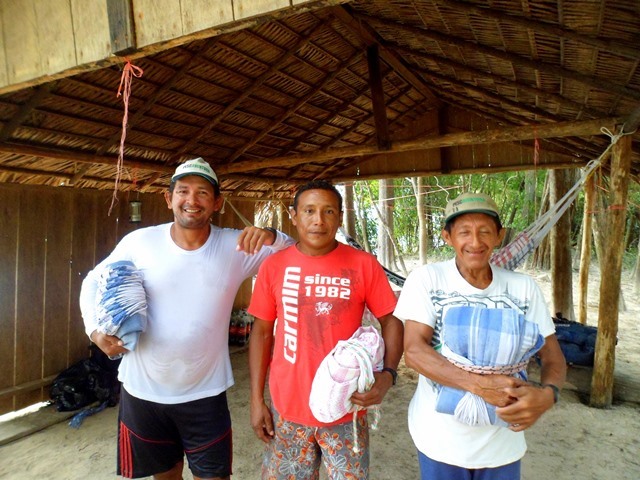 While the food is being prepared, a nice dive in the waters or a quick nap in hammocks set by the guide are advised, to recharge energies for the fishing to come during the afternoon. 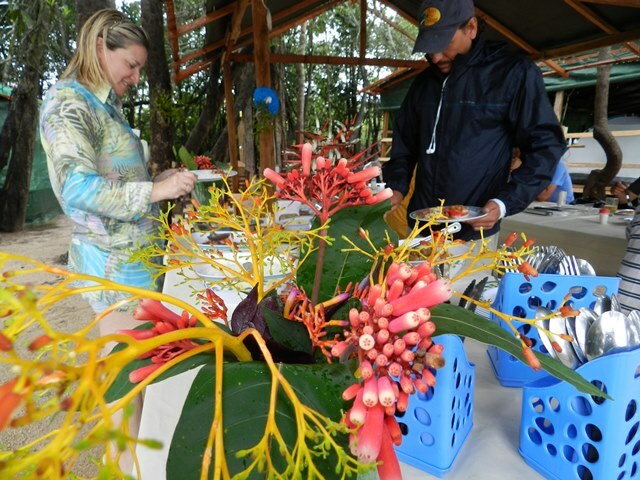 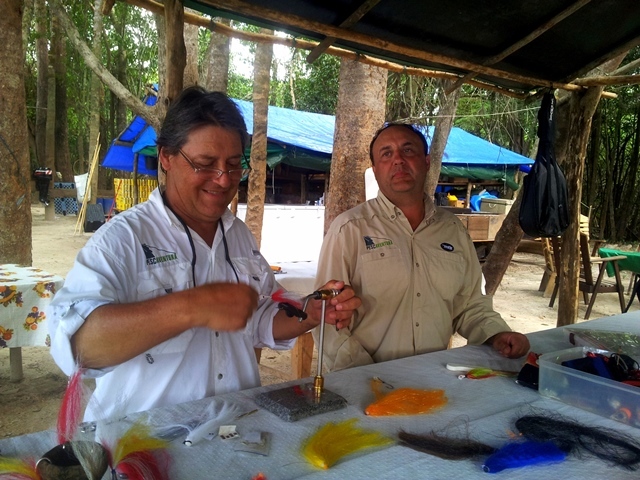 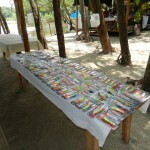 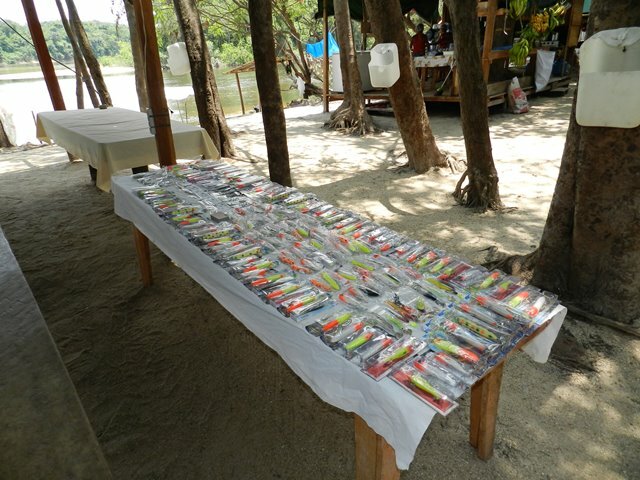 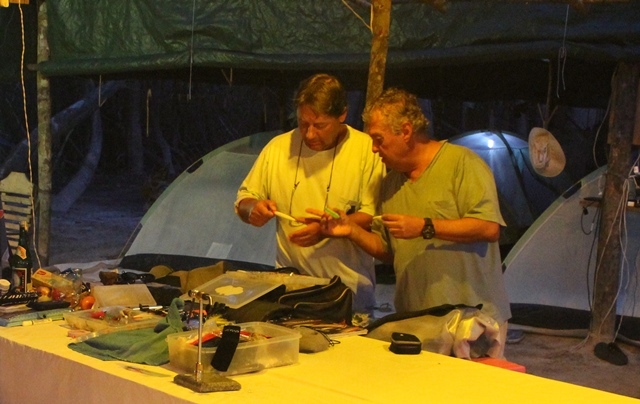 Pescaventura Expeditions have a small supply store offering to its guests a possibility to acquire a few items as artificial lures, fishing lines, hooks, treble hooks, jigs, snaps, rings and other accessories as well as some souvenirs. 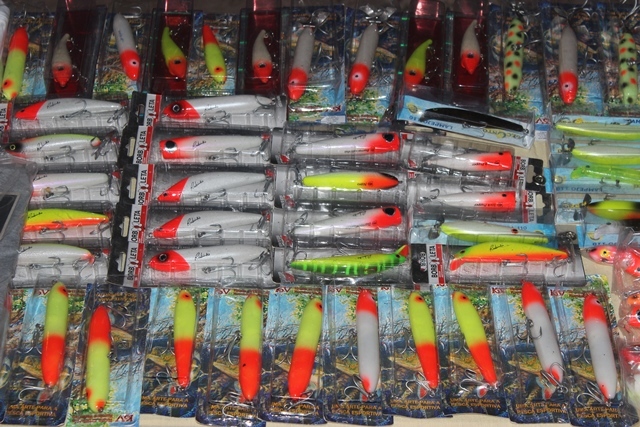 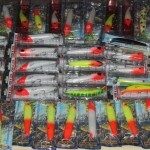 We also provide fishing equipments as rods, tackles and reels, guidance on the most suitable equipment, help with packaging and with small possible repairs. 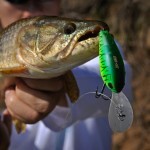 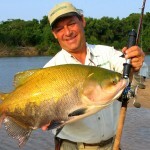 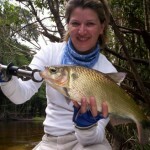 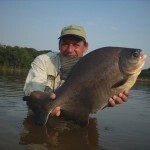 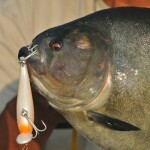 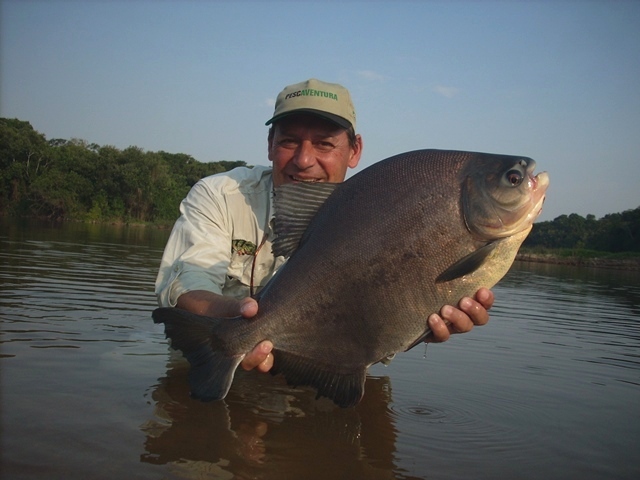 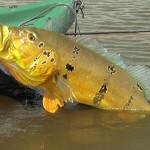 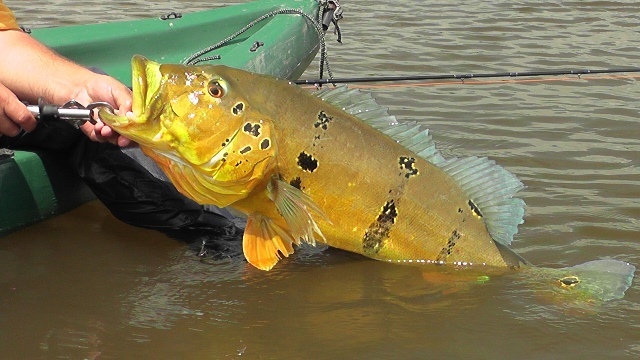 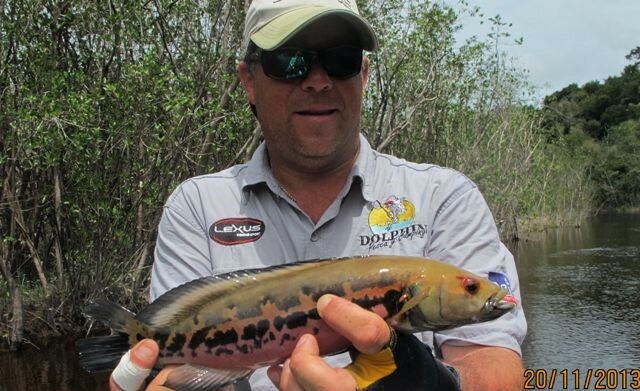 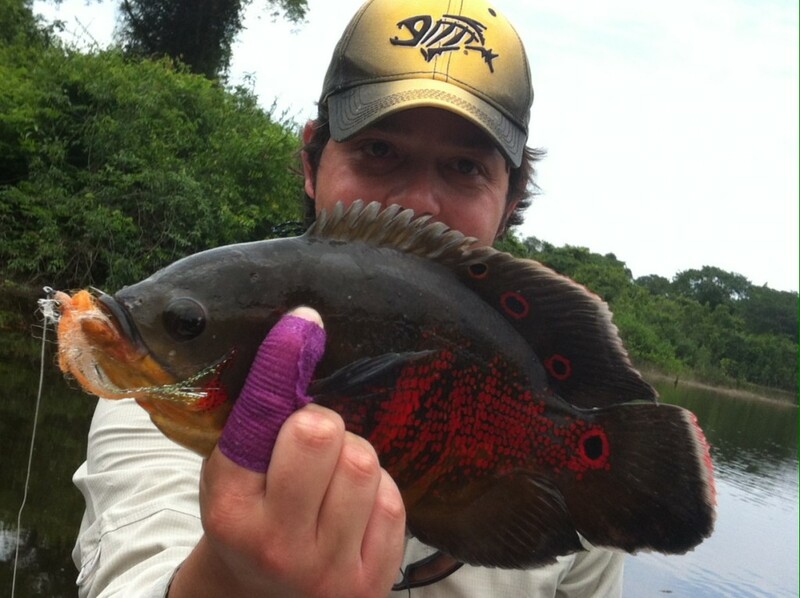 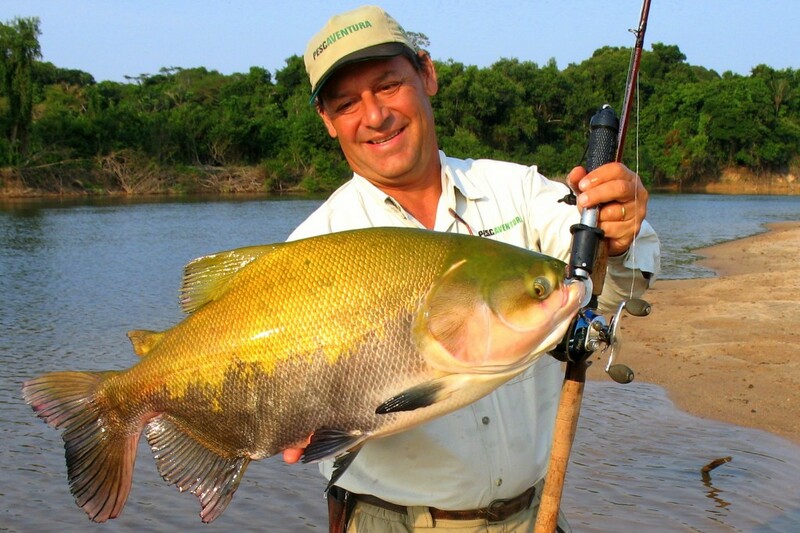 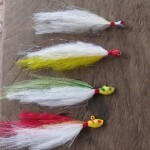 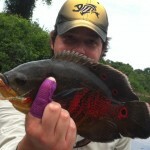 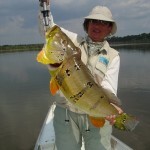 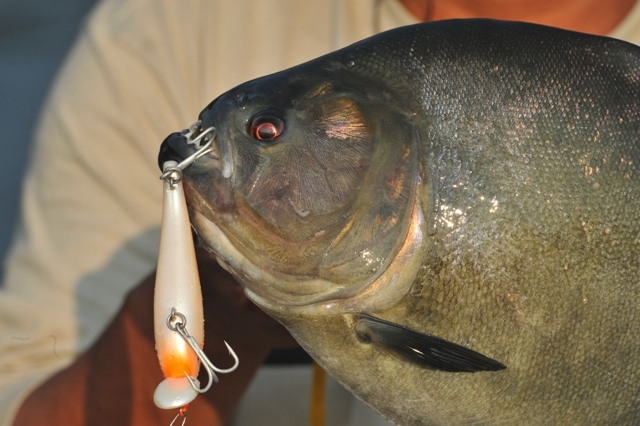 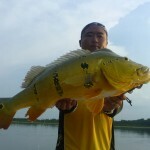 Besides peacock bass, our ambassador, who reigns over the fishing season, the lakes, river pits, beaches and small rivers of Acari and Sucunduri region provide a whole set of excitement with plenty of other catches as piranha, aruanã, jacunda, traira, bicuda, cachorra, corvina, matrinxã, apapá, pacu, tambaqui, cachara, caparari, pirarara, jundiá, pirarucu and even the most coveted piraiba. 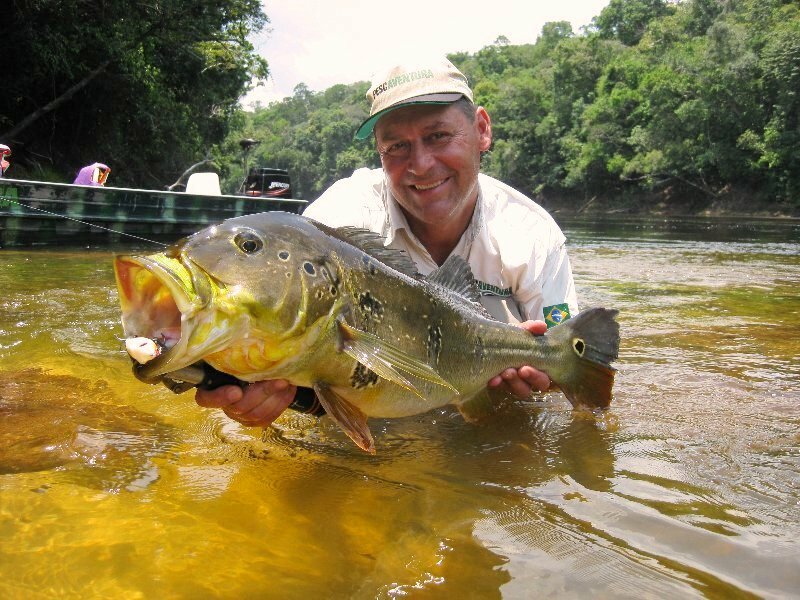 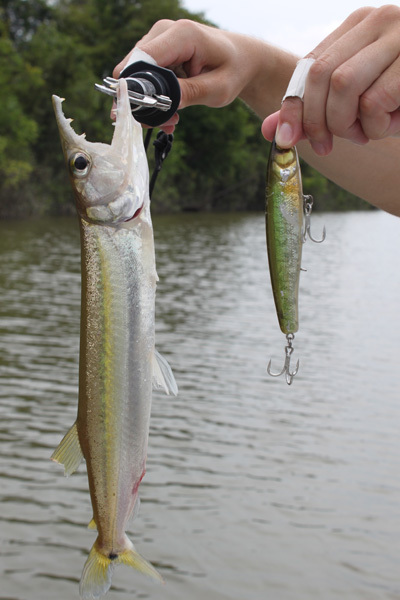 During the trip there are plenty of varied places to fish, being possible to complete the week without visiting the same spot more than once. 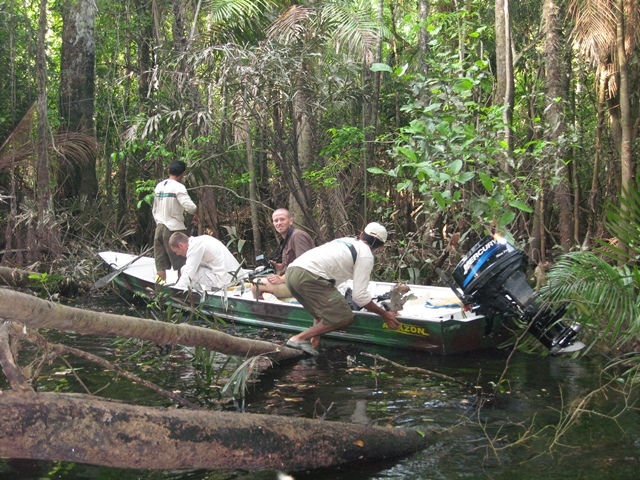 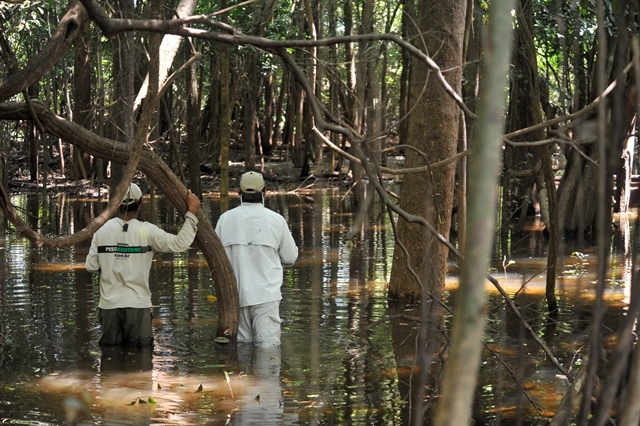 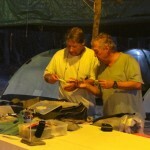 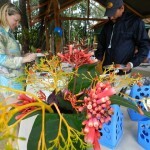 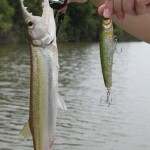 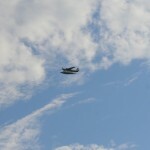 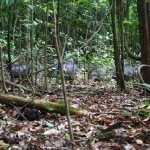 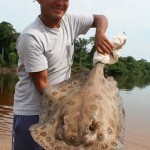 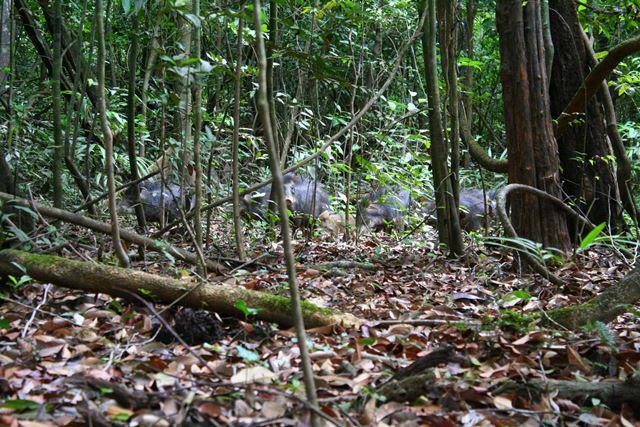 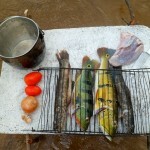 The operation also has further camps that allow fisherman to know more distant areas. 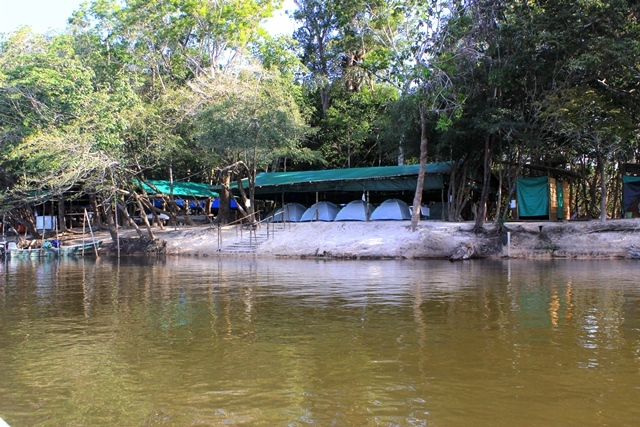 As those are located about 2 hours from the mother camp, the ideal strategy is to be able to spend the night in these outposts, to reduce fatigue and maximize fishing time. 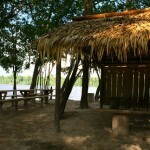 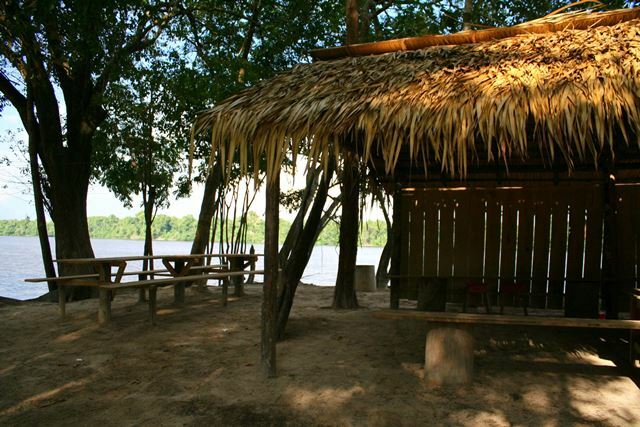 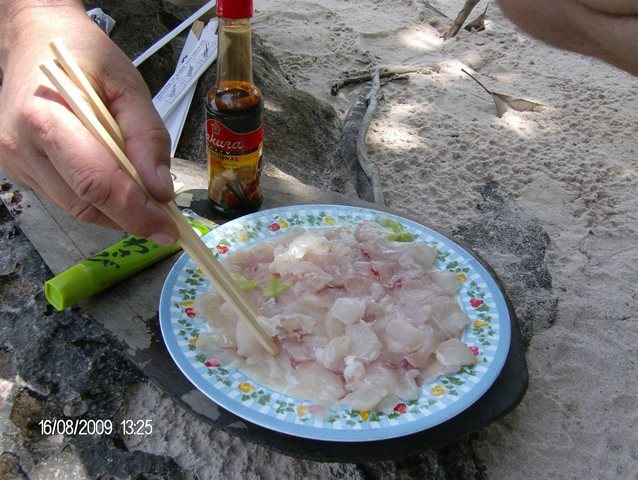 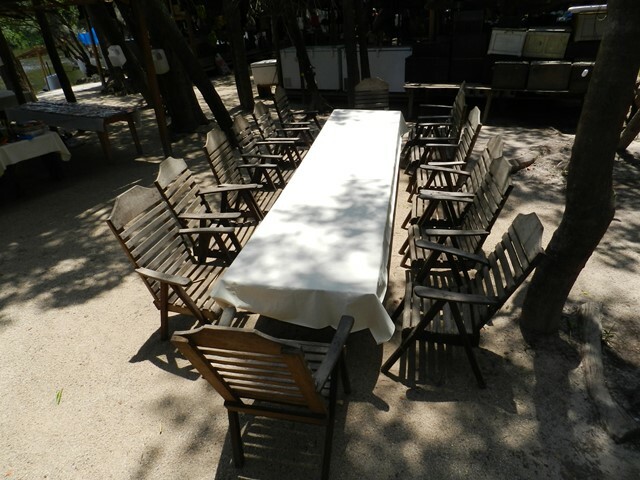 On those, the structure is more rustic, but allows the adventurous fisherman to have a simple meal and a good night rest with all the support from our team. 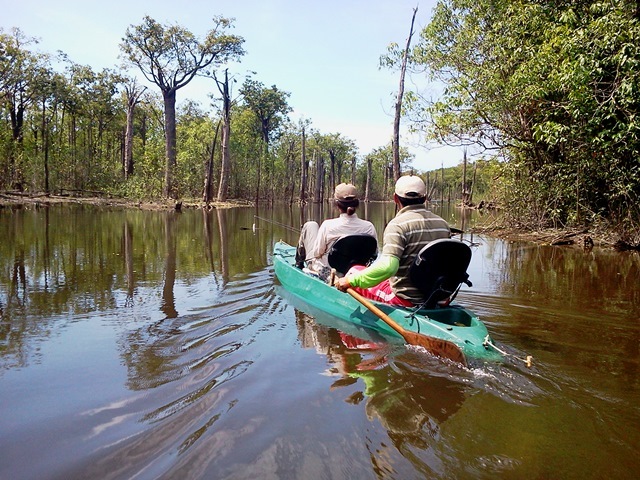 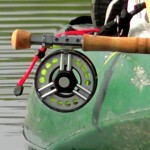 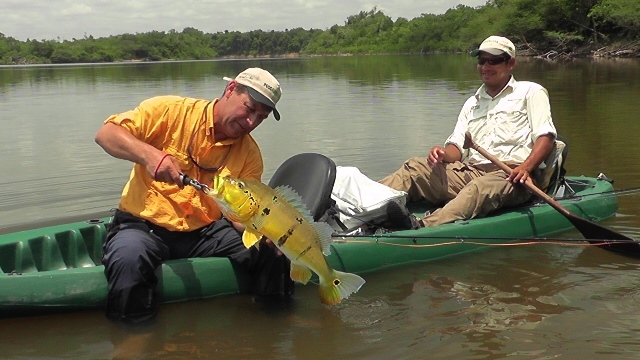 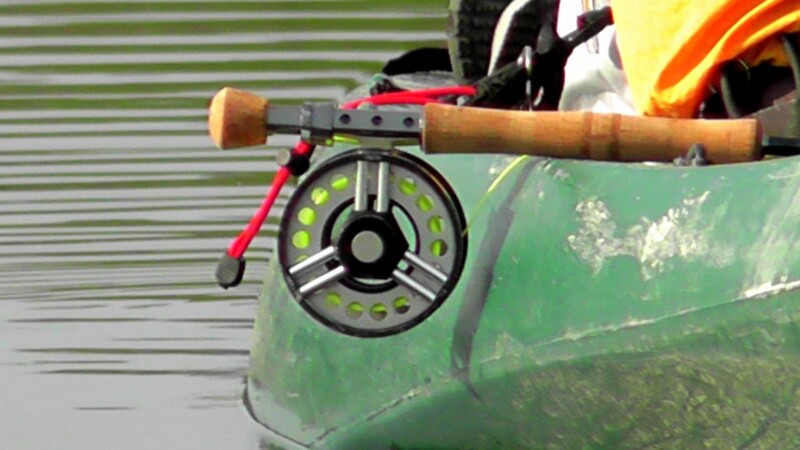 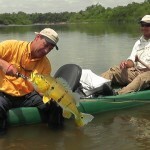 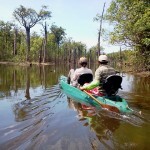 To access some closed lakes far from the main river, double kayaks are provided (guide and fisherman) which allow a whole new experience, silent, more personal and very near the river bank and the fishes. 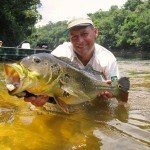 Several fishermen have been delighted by this experience. 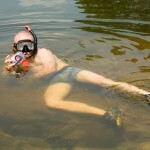 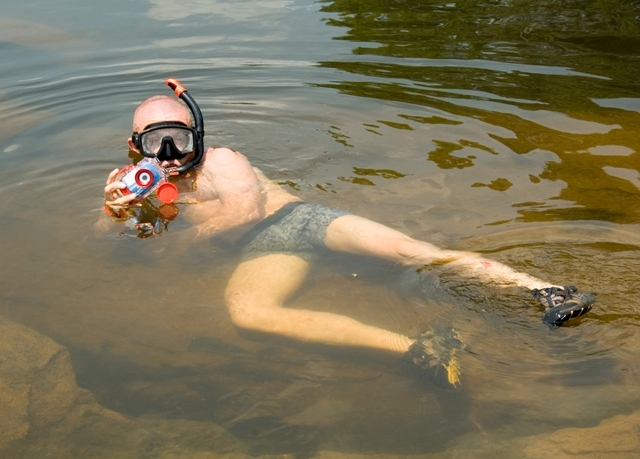 It is worth to try this novelty that, besides being safe, it is very efficient! 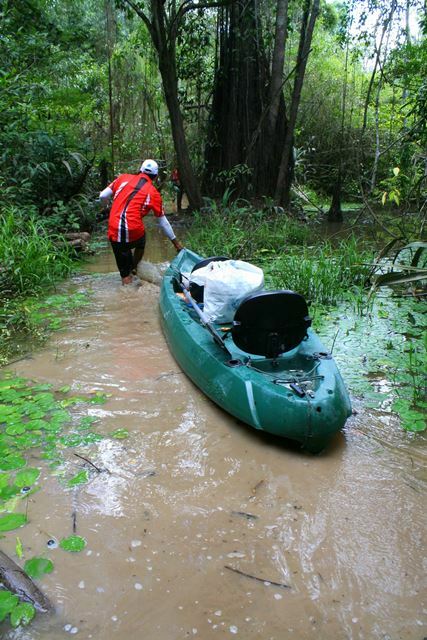 Kayak features: 3,90 meters long, 88cm wide and 35cm tall with 2 seats and weights only 32kg and 240kg of carrying capacity. 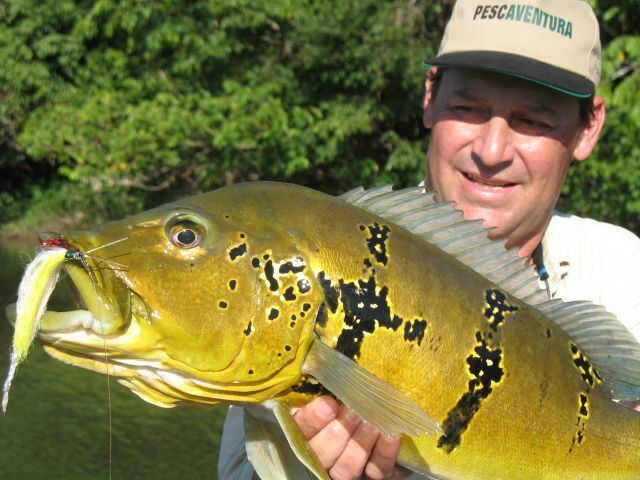 The Pescaventura Expedition is always ready to organize the best adventures, providing to the fishermen a successful experience without ever giving up to any safety rule. 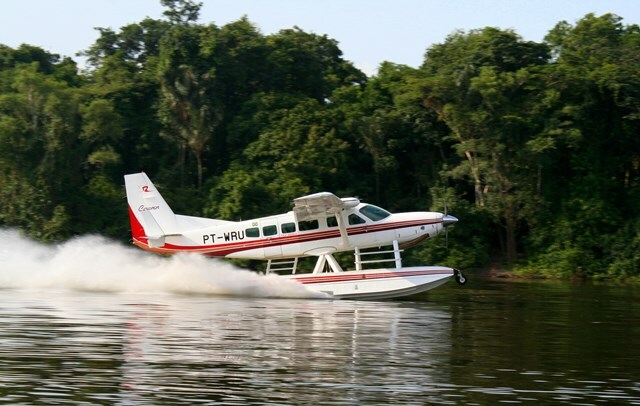 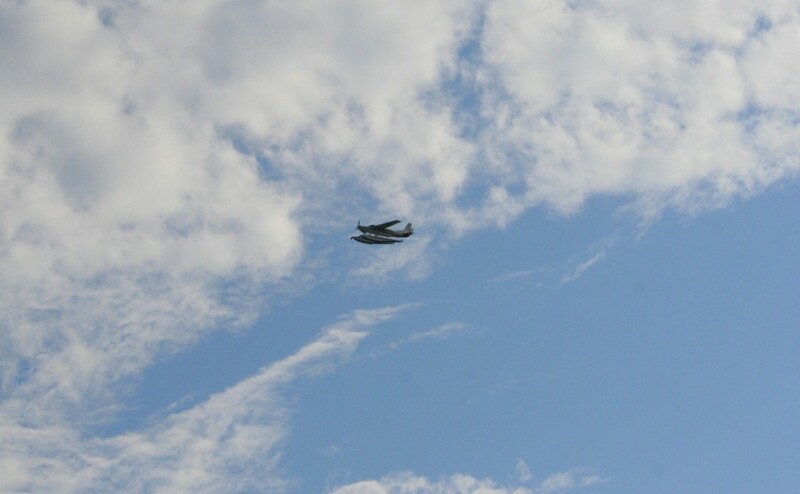 In the afternoon of the last day, hydroplanes are going to make the trip back to the Regional Terminal where there will be a transfer to the international airport around 5 p.m. and that is when our services end.